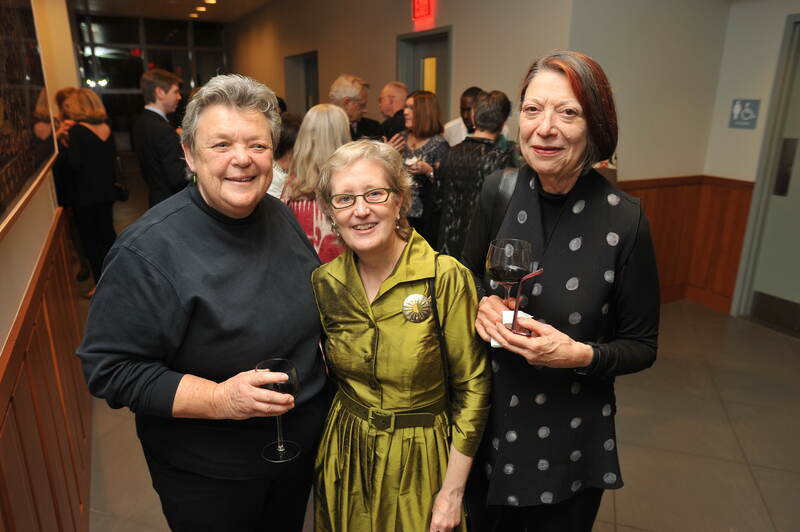 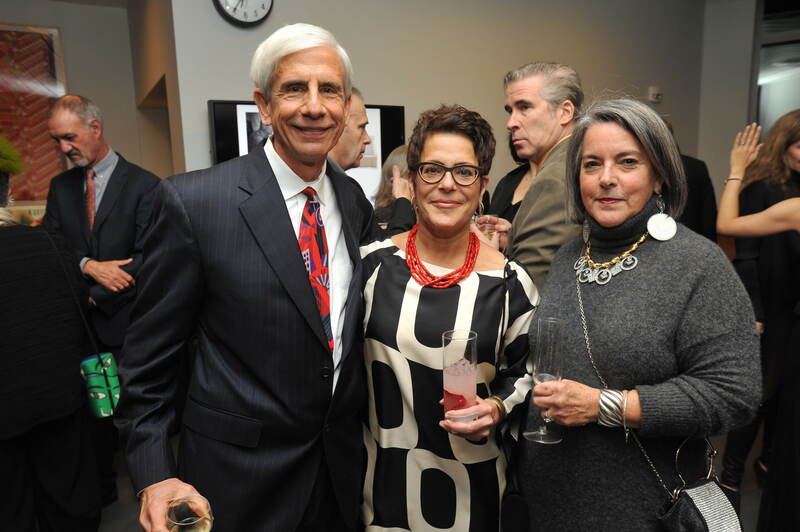 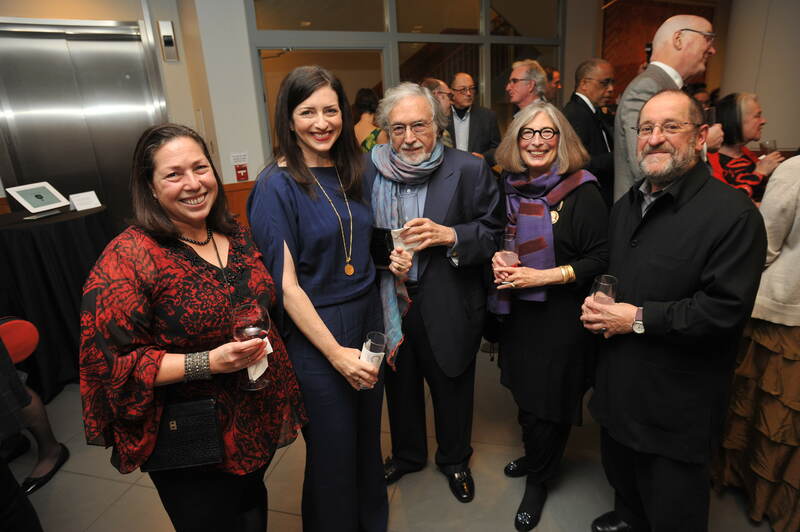 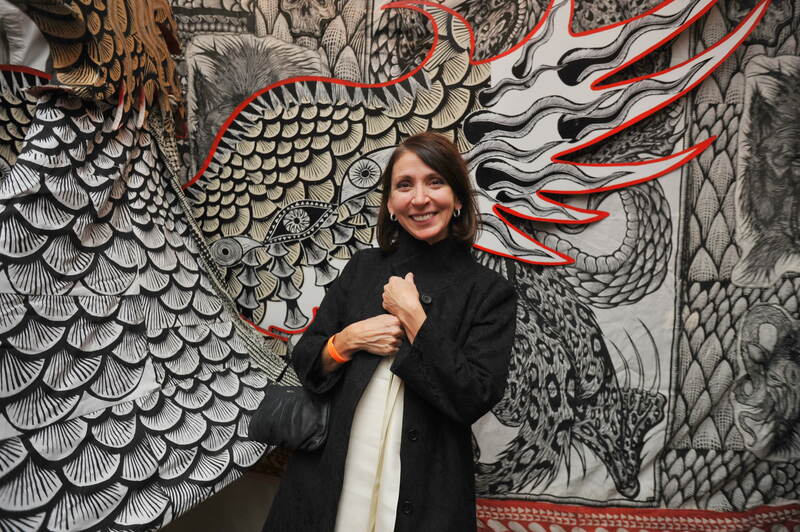 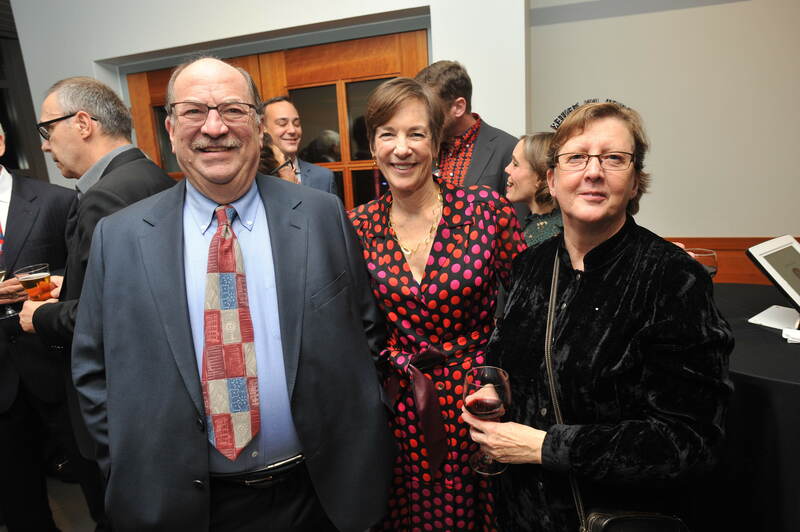 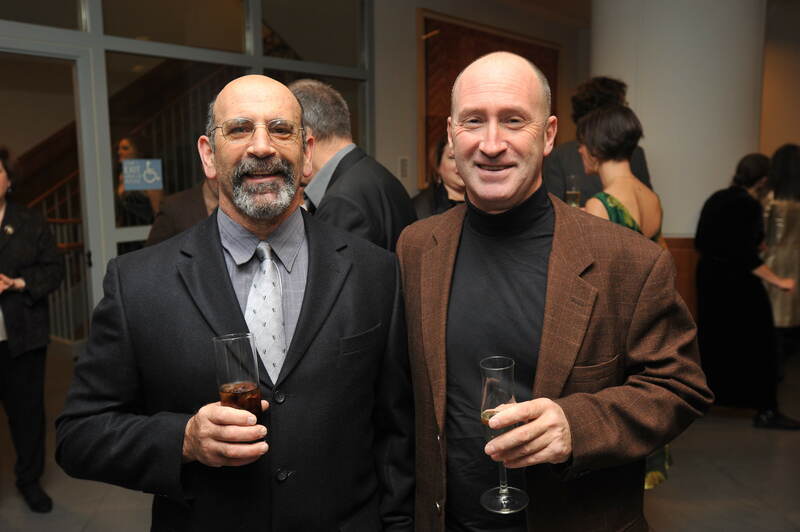 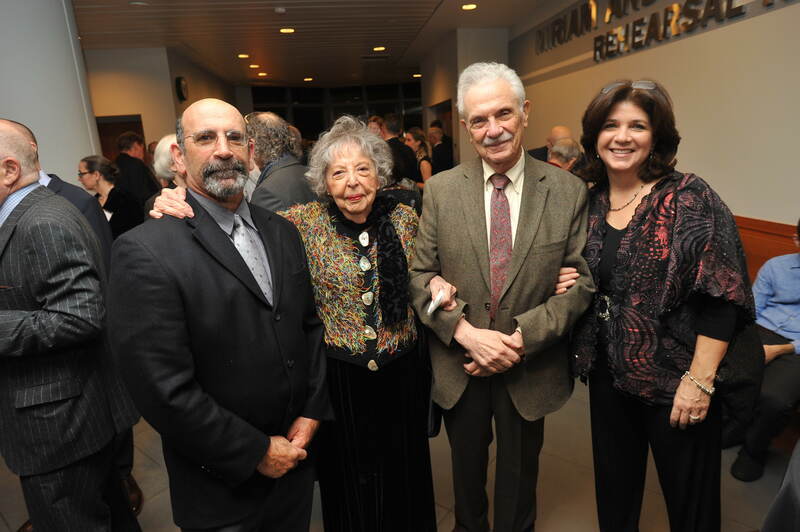 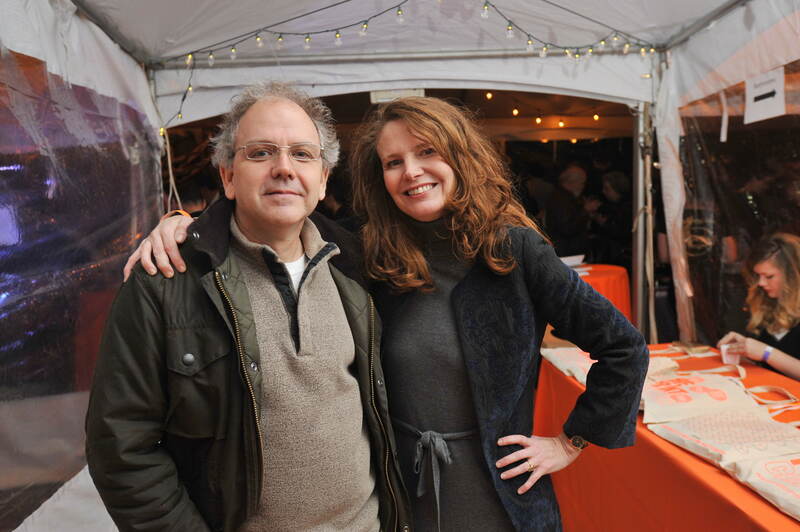 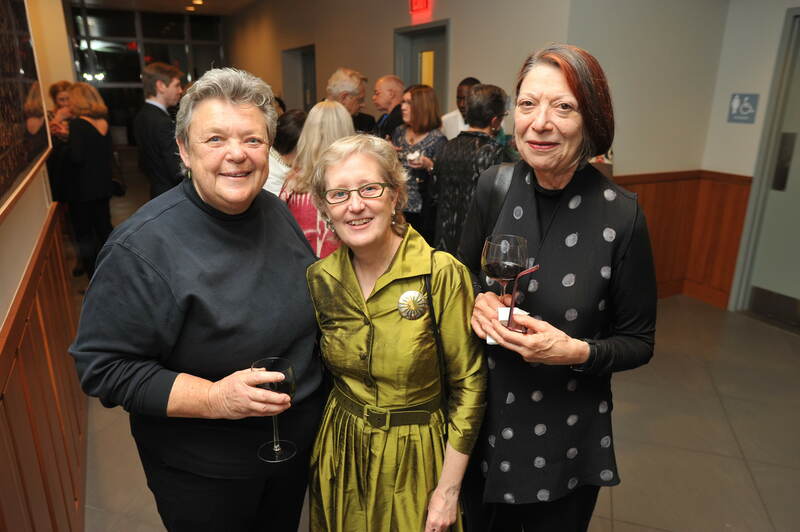 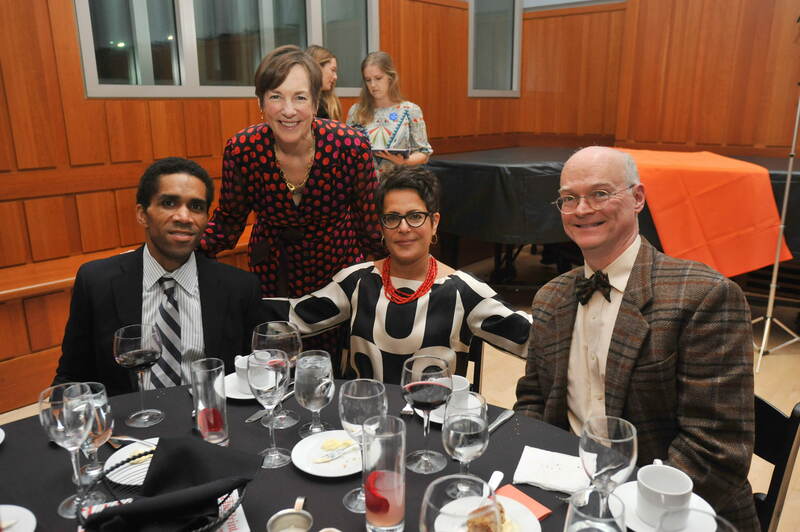 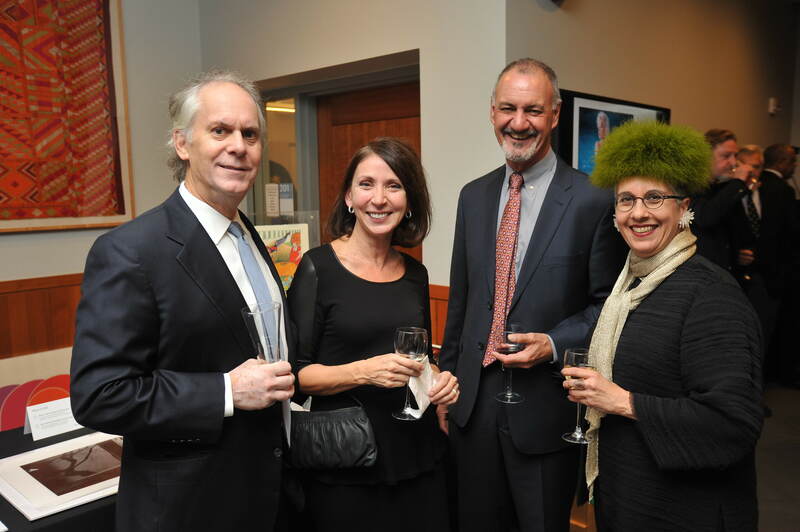 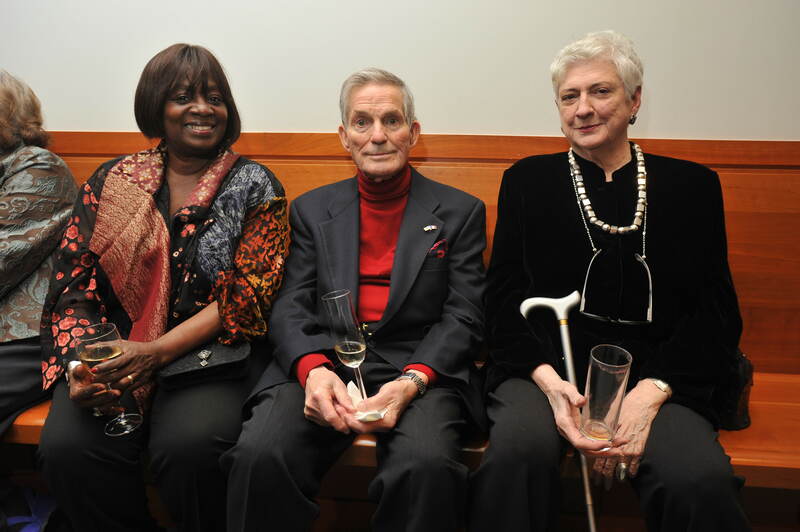 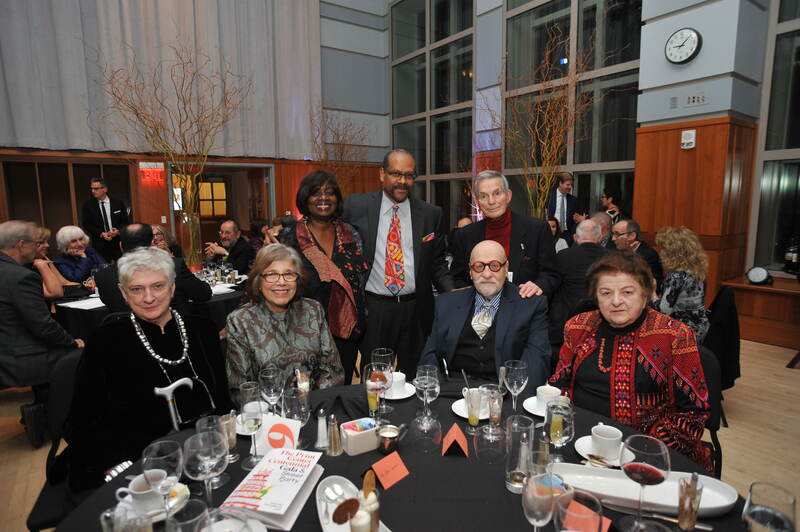 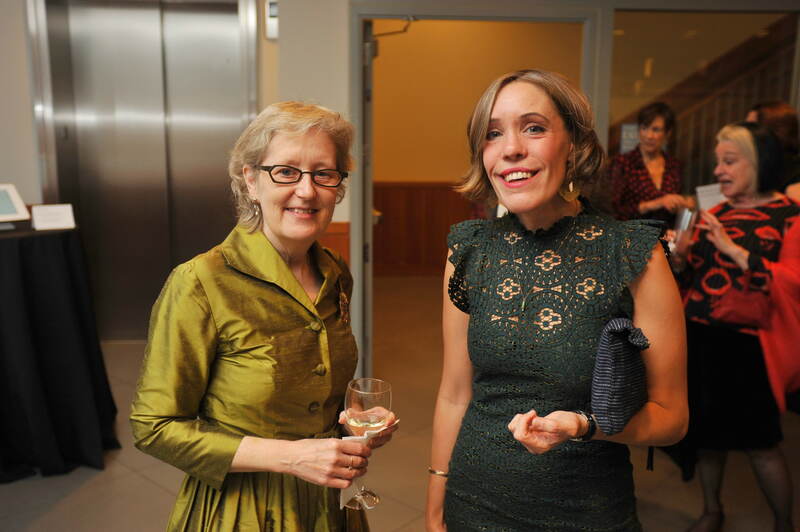 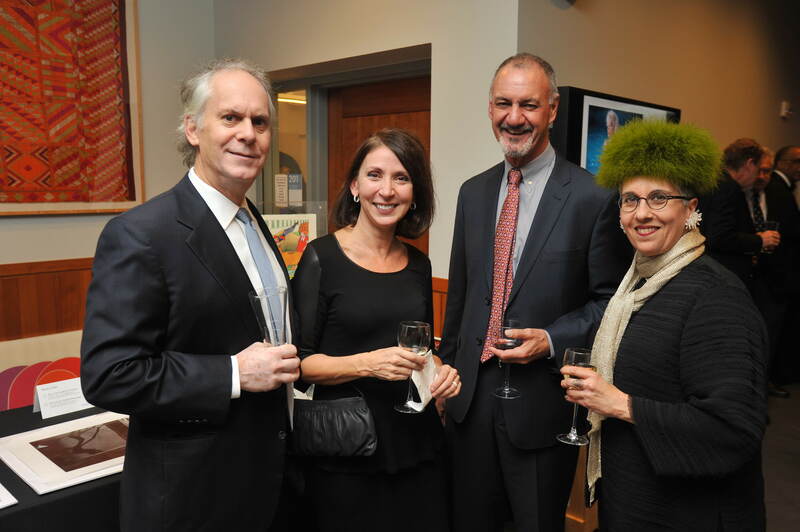 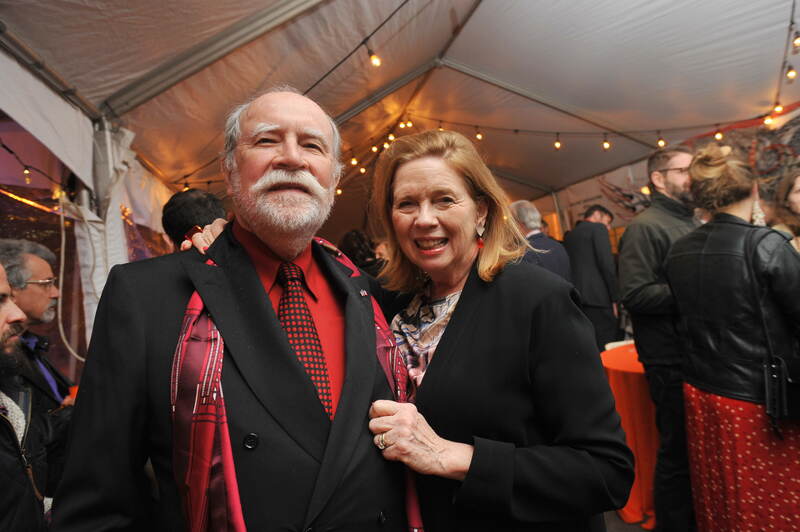 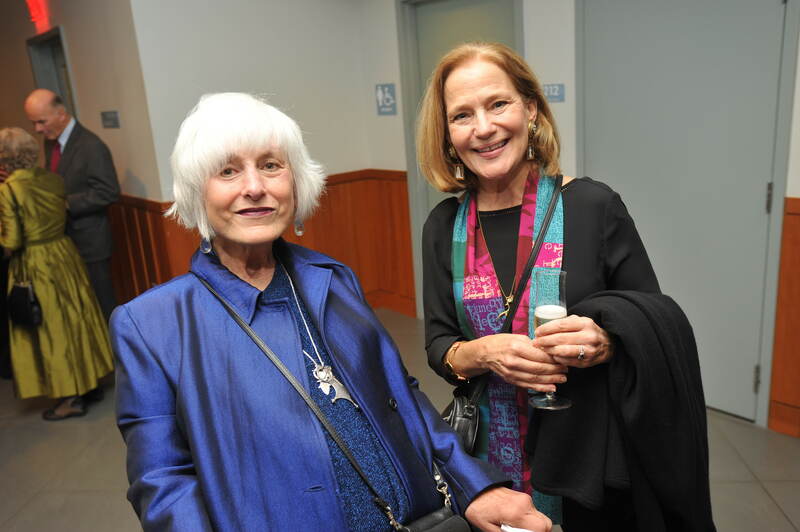 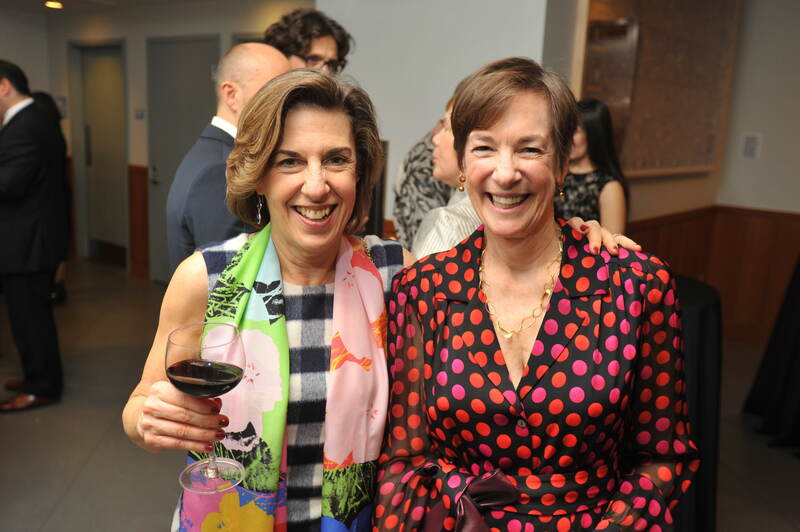 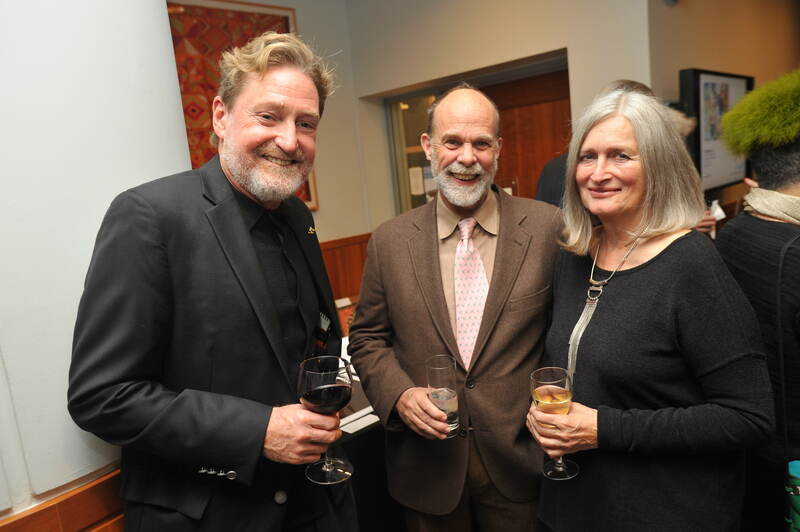 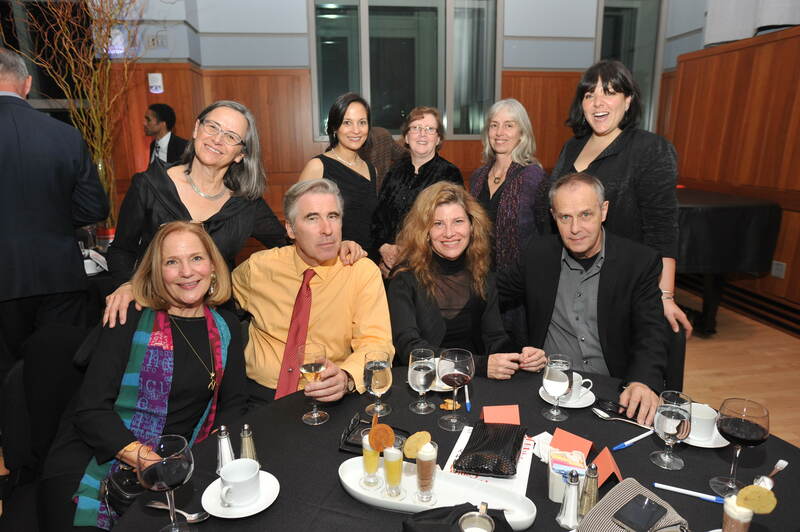 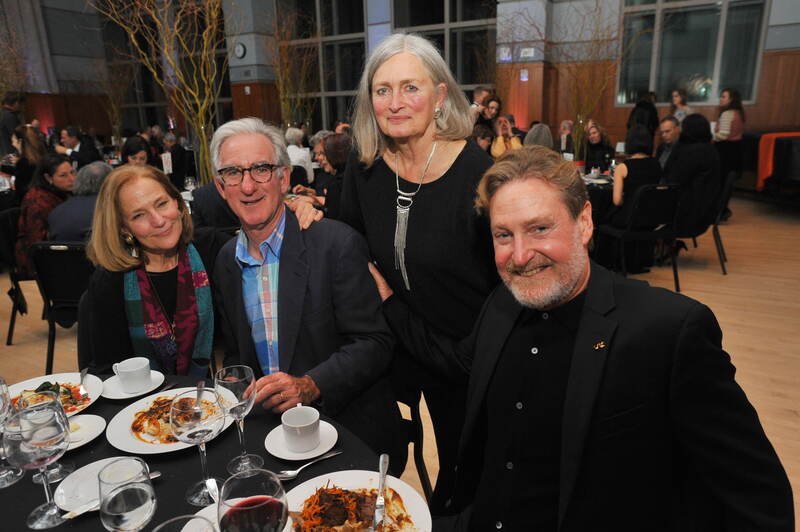 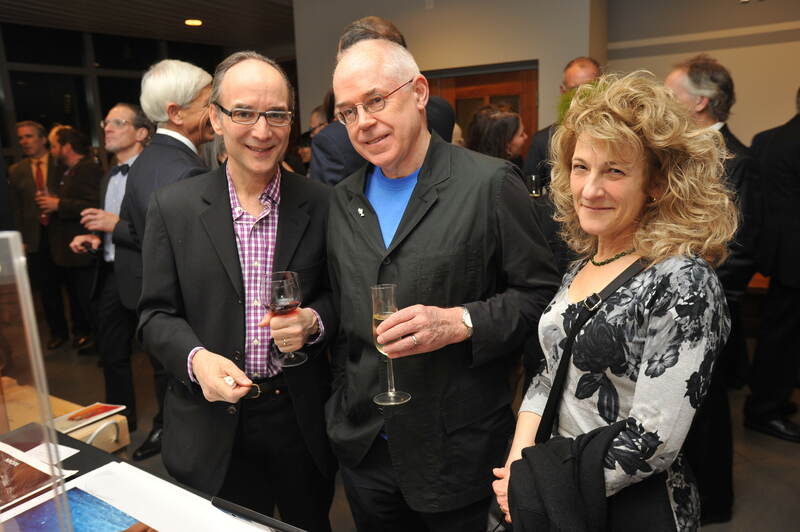 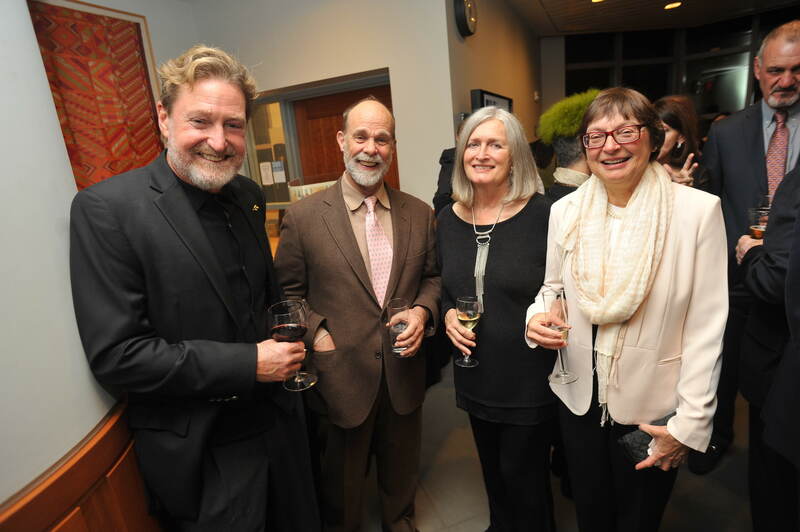 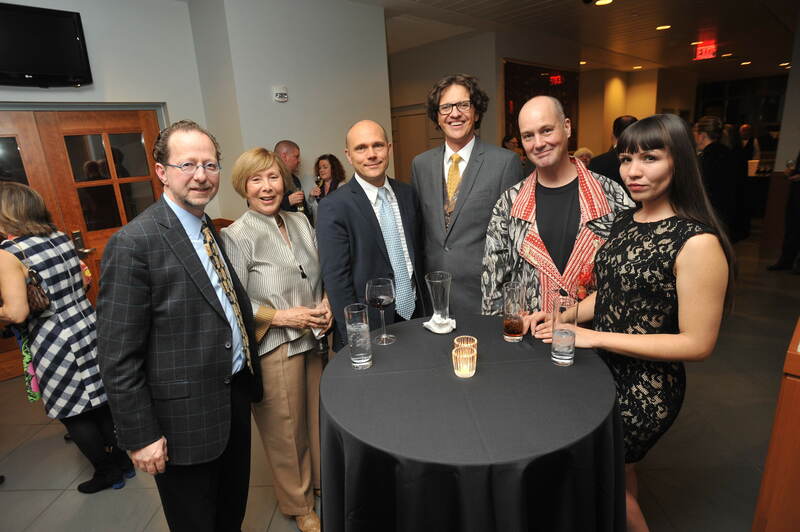 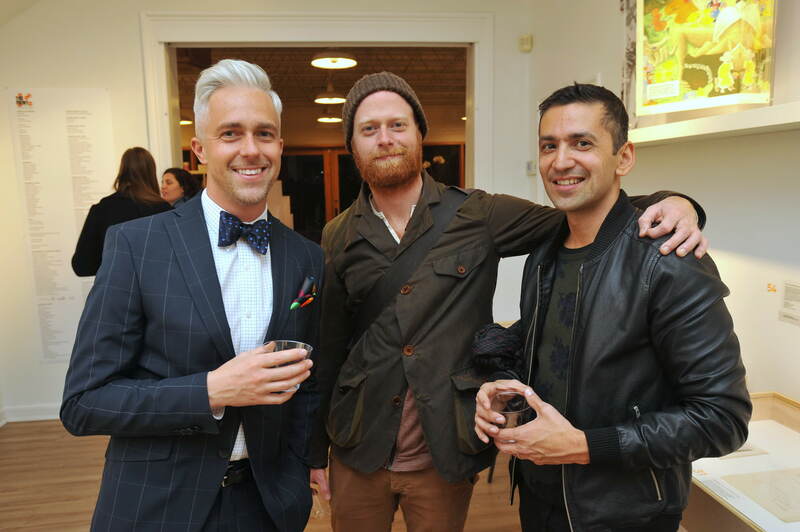 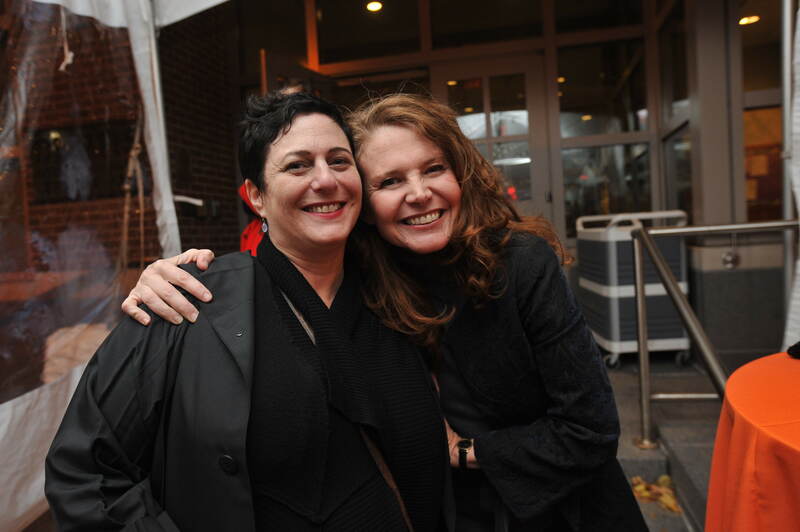 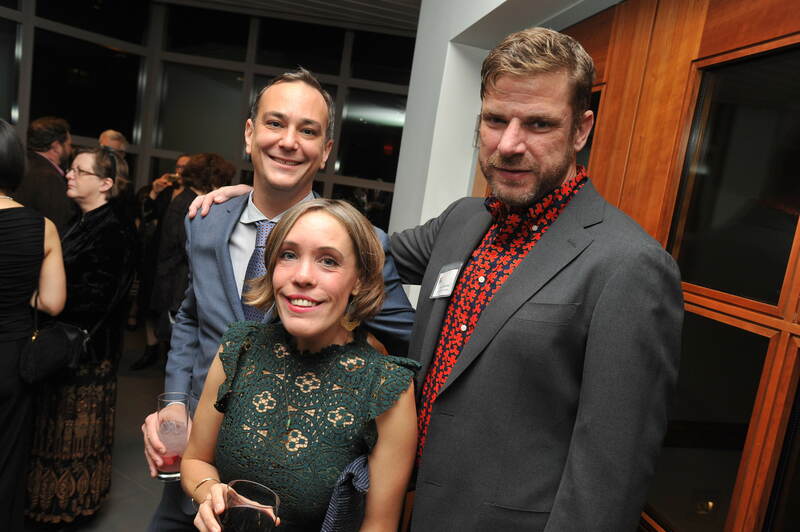 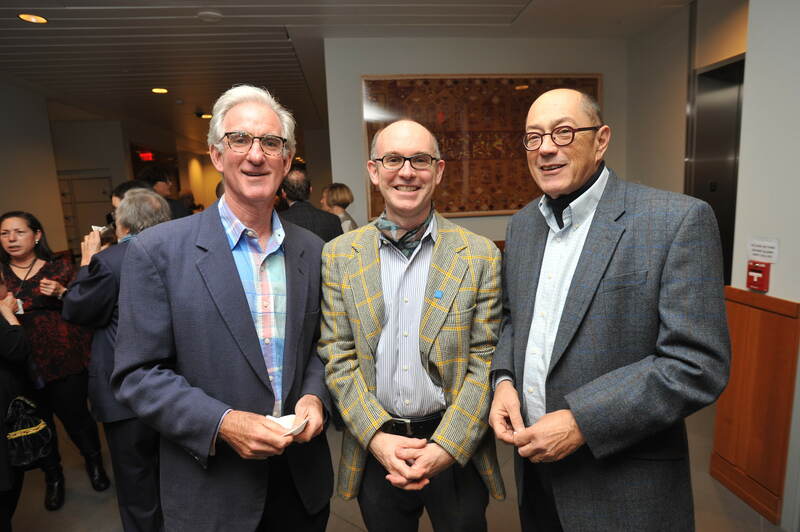 On Saturday, November 14, 2015 The Print Center celebrated a historic evening honoring the outstanding legacy and exciting future of The Print Center! 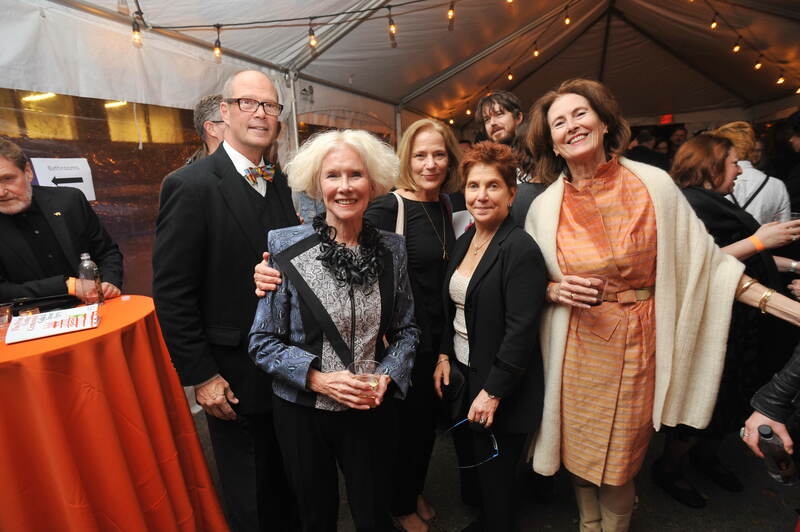 The festivities began with a Gala Dinner at Curtis Institute of Music's Lenfest Hall with special guests artists Henry Horenstein, Dennis McNett, William Earle Williams and Andrew Jeffery Wright, and we capped it off with a festive Street Party under the tent on Latimer Street, where we danced the night away with DJ Robert Drake. 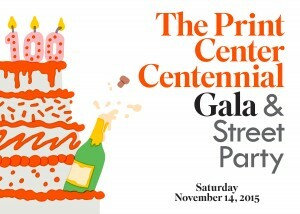 It was the celebration of the century! 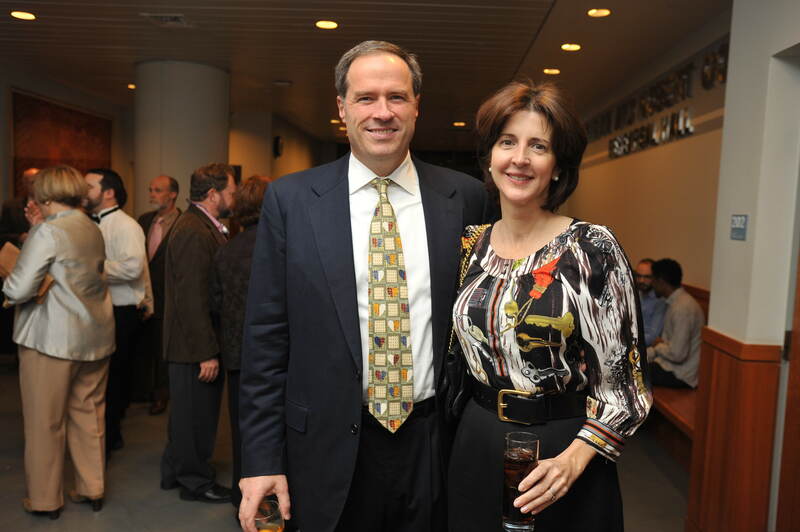 Judith Dean & James D. Crawford, Esq. 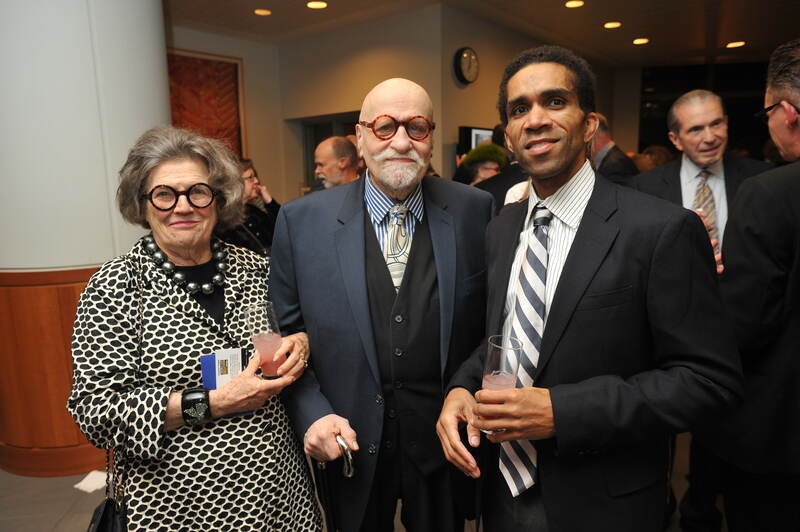 Henry Horenstein is a renowned artist and beloved Professor of Photography at the Rhode Island School of Design. 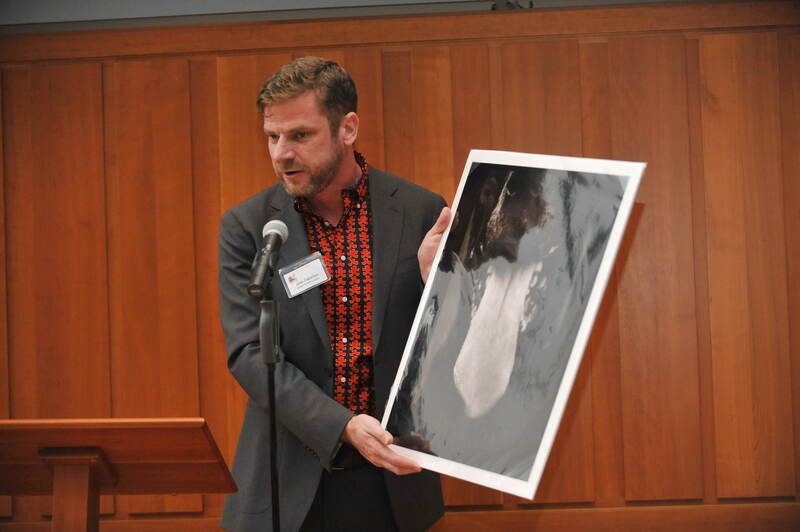 His work is collected and exhibited internationally and he has published over 30 books. 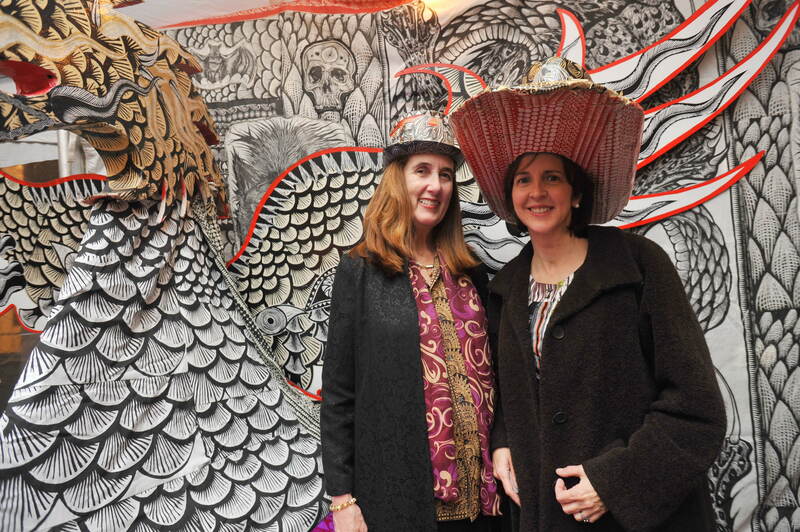 He had a solo show of his series Honky Tonk at The Print Center in 2004. 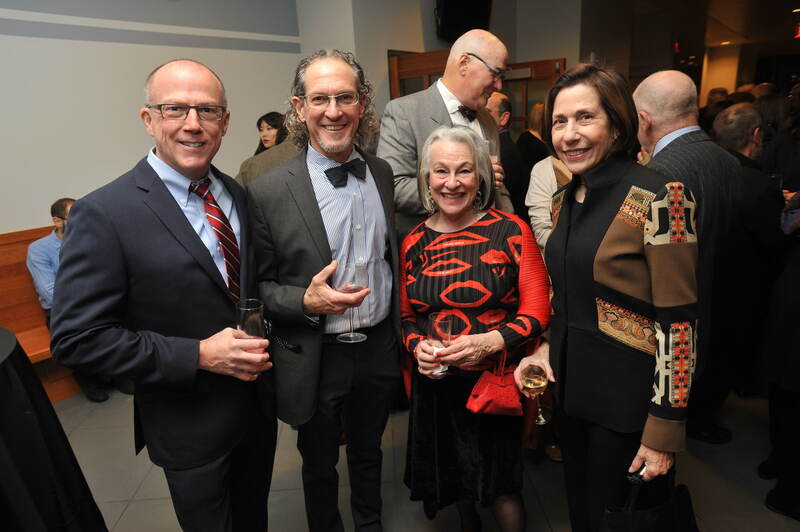 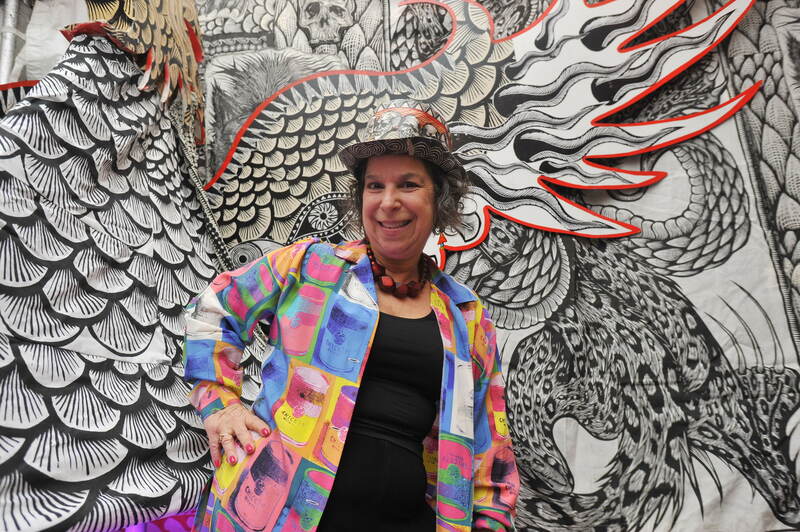 Horenstein lives in Boston and is represented by Clampart, New York, NY; Carroll & Sons, Boston, MA; Verve Gallery, Santa Fe, NM; Catherine Couturier Gallery, Houston, TX; and Gallerie Vassie, Amsterdam. 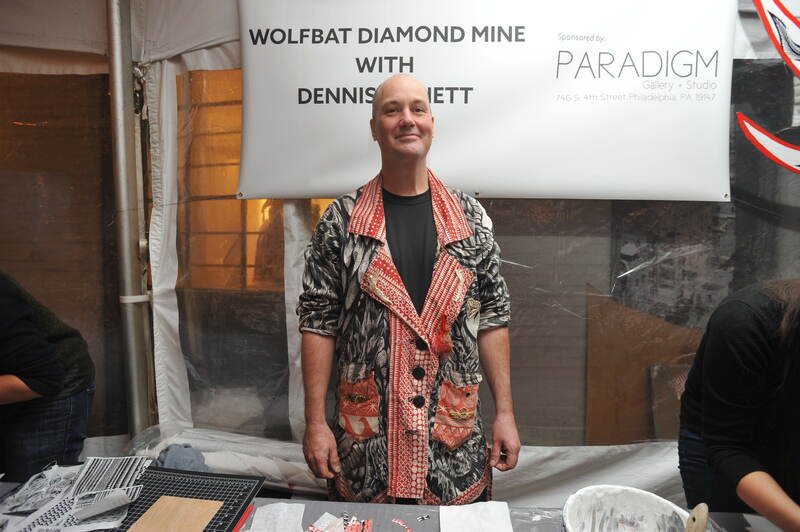 Dennis McNett is the founder of Wolfbat Studio; the accomplished and exciting printmaker is based in Richmond, VA. His graphic aesthetic and love for narrative have been realized in many ways - from larger than life Viking ship performances and parades, to masks, installations and sculptures, to unique wood carvings, relief prints and graphics. 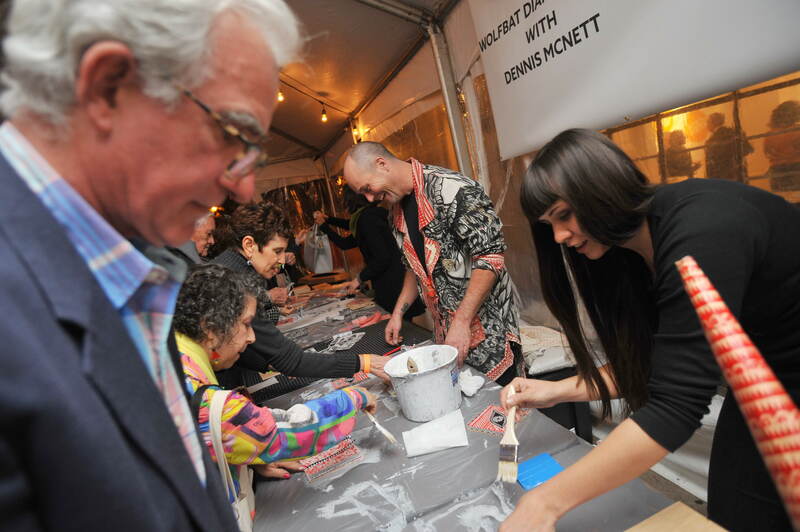 McNett has worked with Anti-Hero, Vans, Barneys NY and the Deitch Artparade. 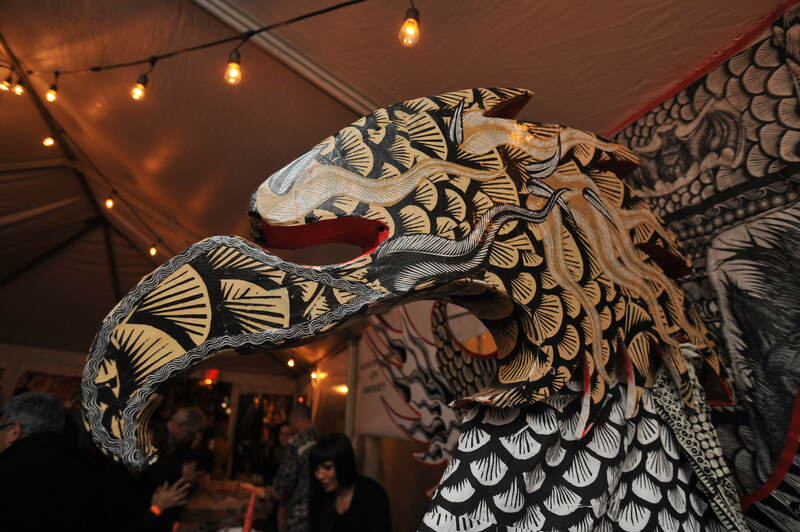 His work has been featured in The New York Times, Juxtapoz magazine, Thrasher and Complex Magazine. 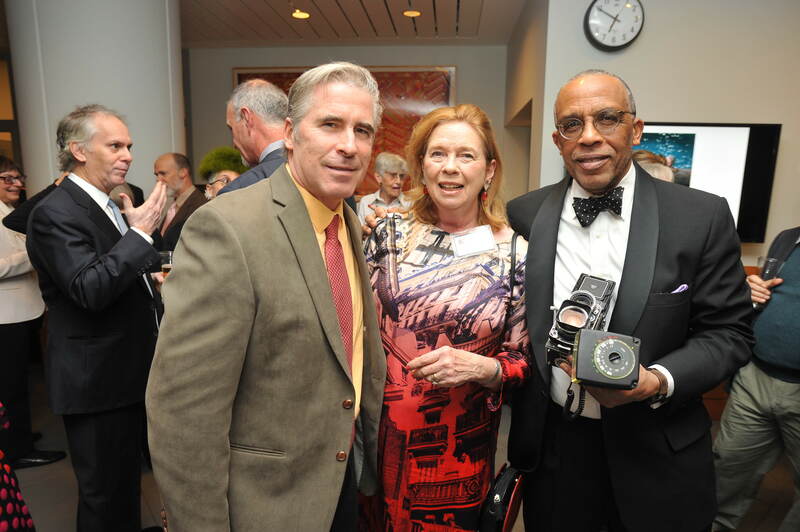 William Earle Williams is a renowned photographer and a Professor of Fine Art and Curator of Photography at Haverford College. 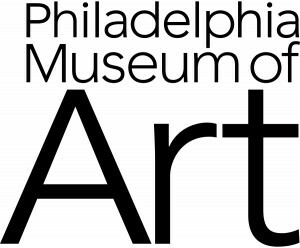 He has exhibited at the Baltimore Museum of Art, the Philadelphia Museum of Art, the Pennsylvania Academy of the Fine Arts, the Tampa Museum in Florida and the Princeton University Museum. 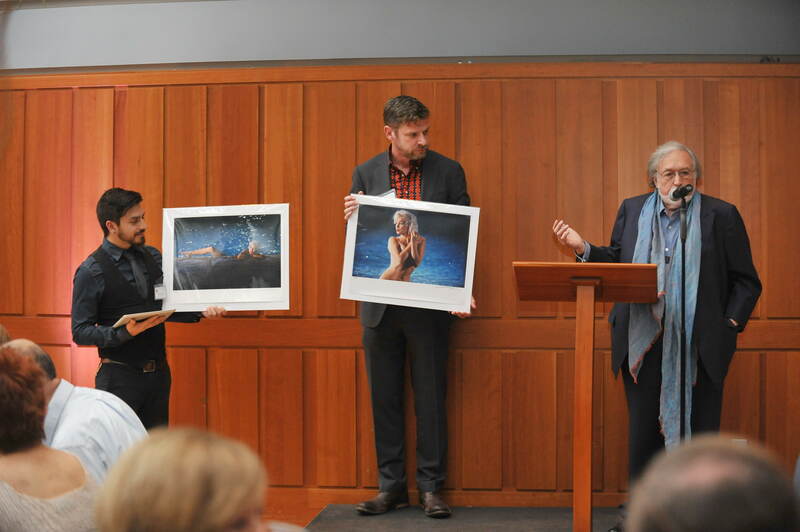 Mr. Williams's photographs are in the permanent collections of the Metropolitan Museum, the Cleveland Museum of Art, Philadelphia Museum of Art, and the National Gallery of Art in Washington among others. 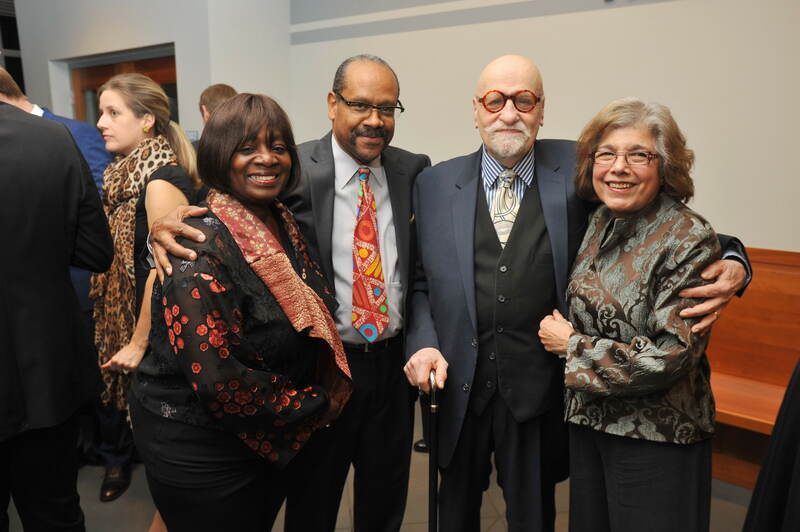 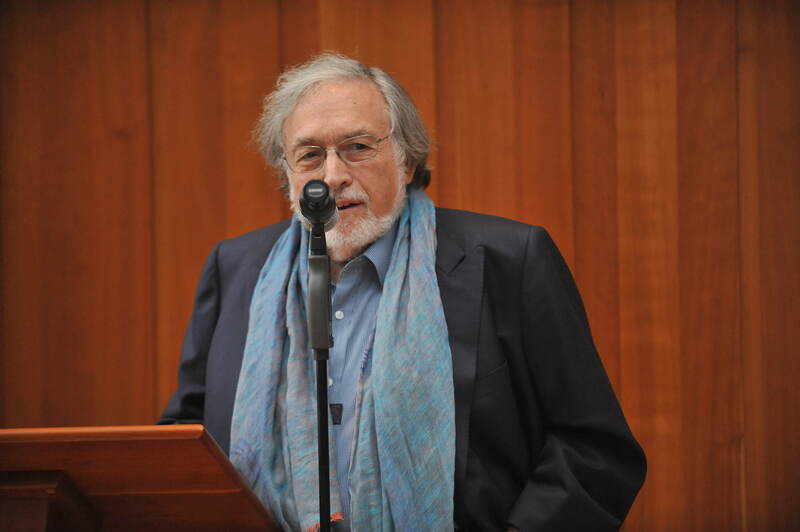 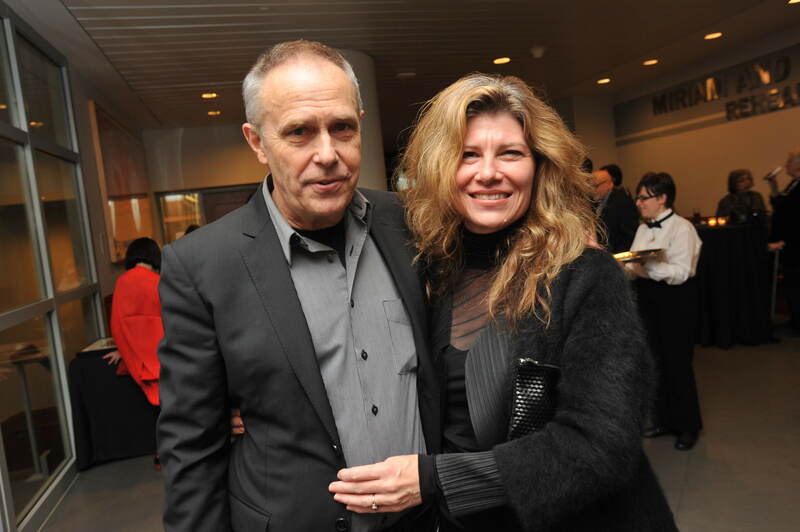 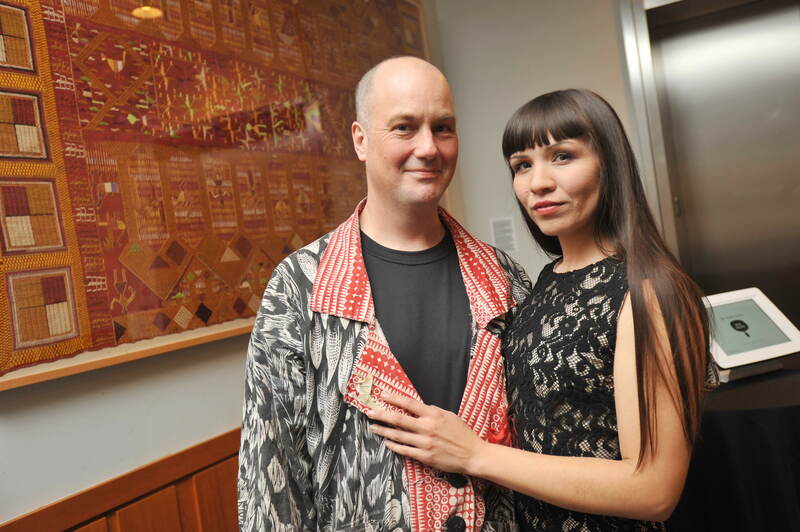 He has been honored with a grant from the Ford Foundation and fellowships from the John Simon Guggenheim Memorial Foundation, the Pew Fellowships in the Arts, the Pennsylvania Council on the Arts and the Massachusetts Council on the Arts. 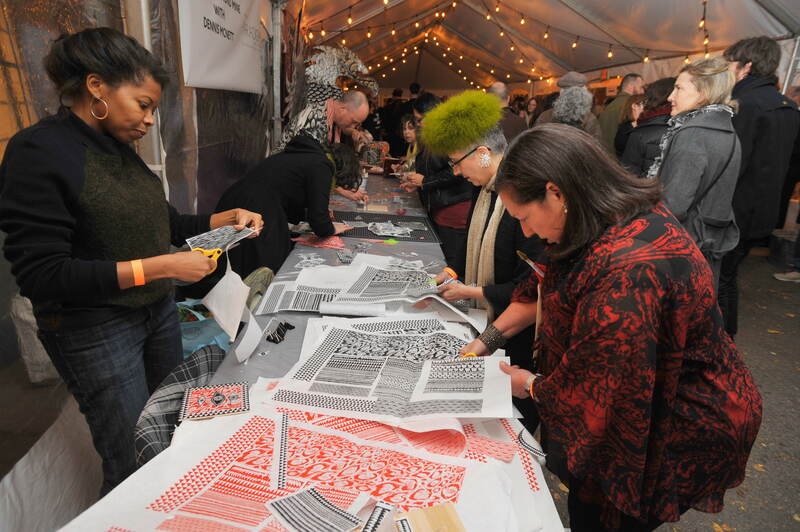 Andrew Jeffrey Wright is a founding member of Philadelphia’s Space 1026. 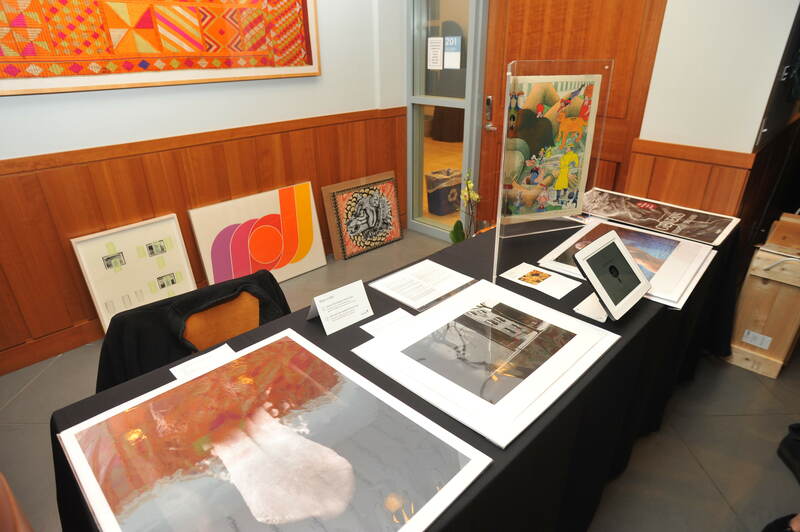 Wright's works include painting, animation, drawing, collage, photography, sculpture, video, installation and screen printing. 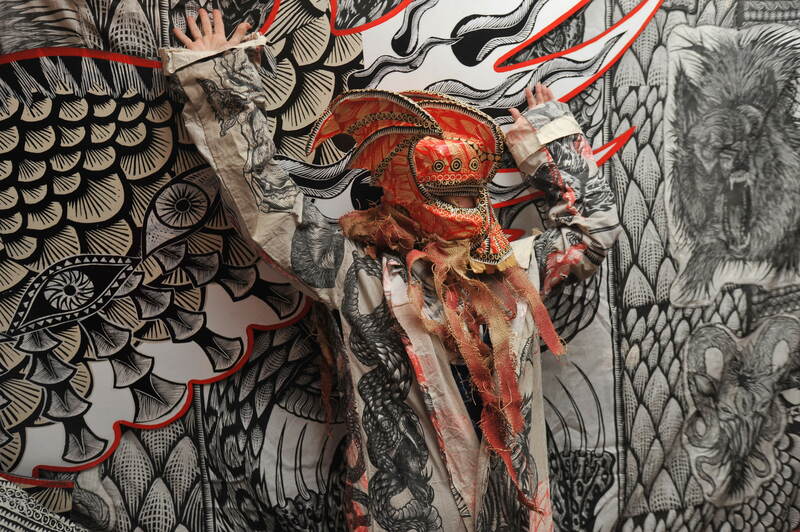 In addition to exhibiting with The Print Center, he has shown at Lizabeth Oliveria (LA), New Image Art (LA), Spector (Philadelphia), The Luggage Store (San Francisco), Lump (Raleigh), The Pennsylvania Academy of Fine Arts, ICA in Philadelphia, Giant Robot NY (NYC) The Corcoran (DC) and Foundation Cartier (Paris). 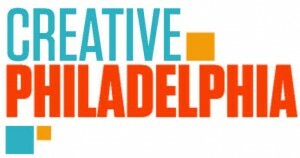 The Print Center Centennial Portfolio: Produced in partnership with the Curtis Institute of Music and the Philadelphia Art Alliance and supported by Creative Philadelphia, the portfolio will feature newly commissioned works from Phillip Adams, Henry Bermudez, Colette Fu, Sarah McEneaney and Ron Tarver, along with works by Dennis McNett and Henry Horenstein. 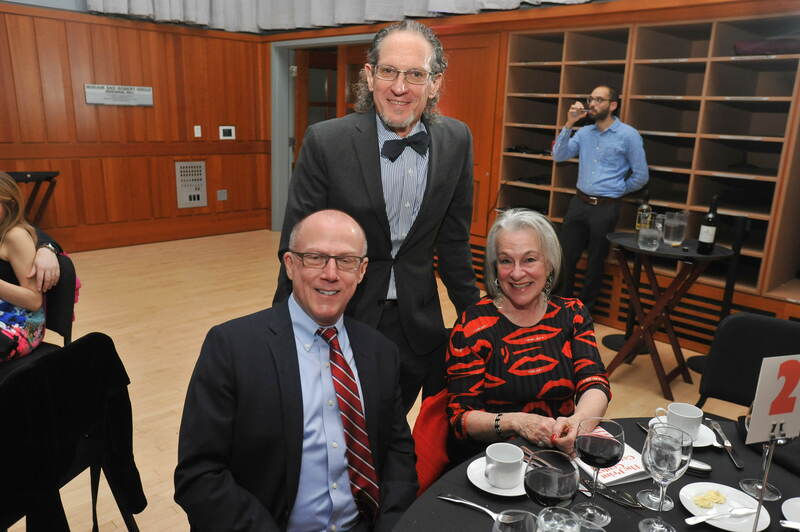 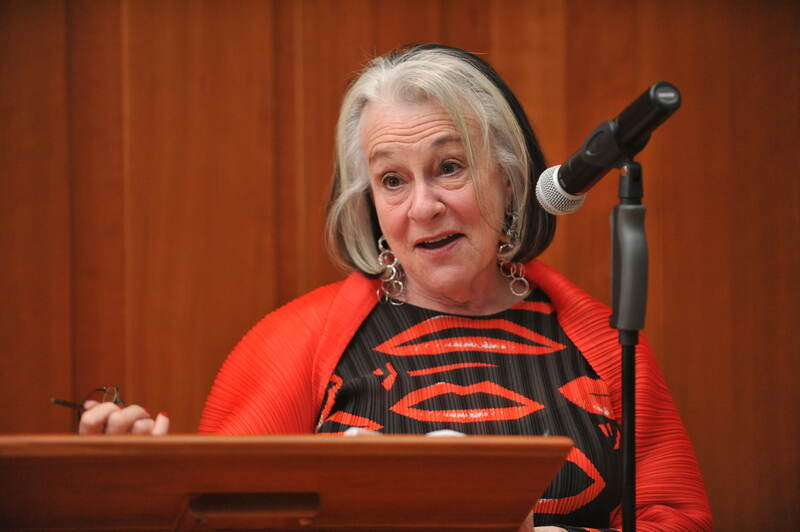 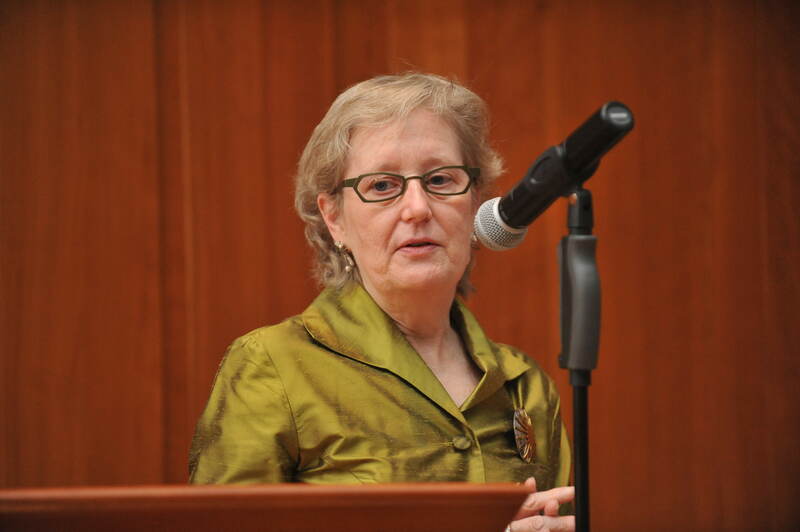 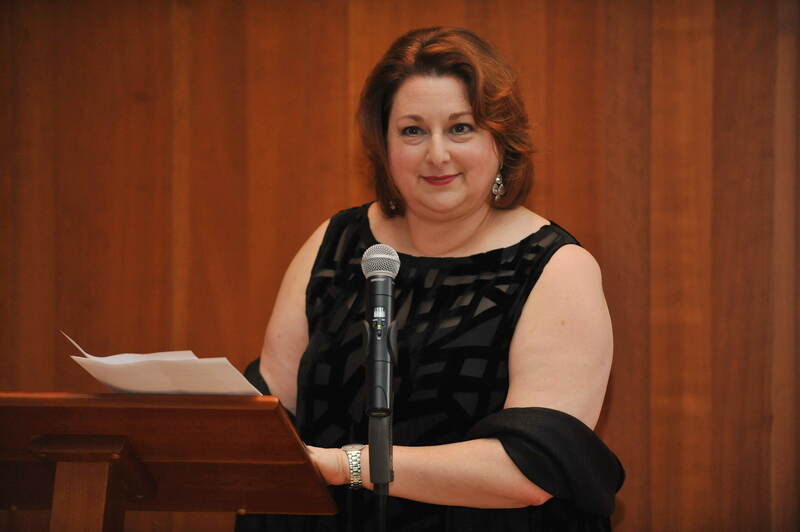 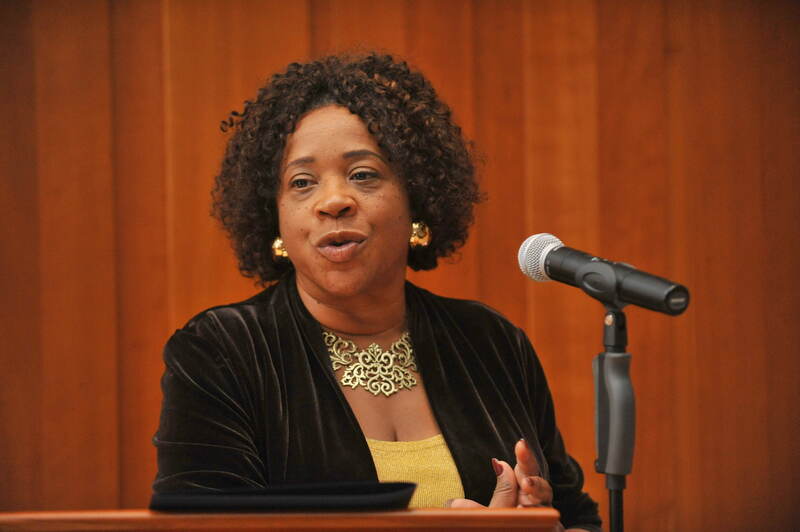 It will also feature a music CD of recent highlights from the Curtis Institute of Music and a text work by Philadelphia’s Poet Laureate Frank Sherlock. 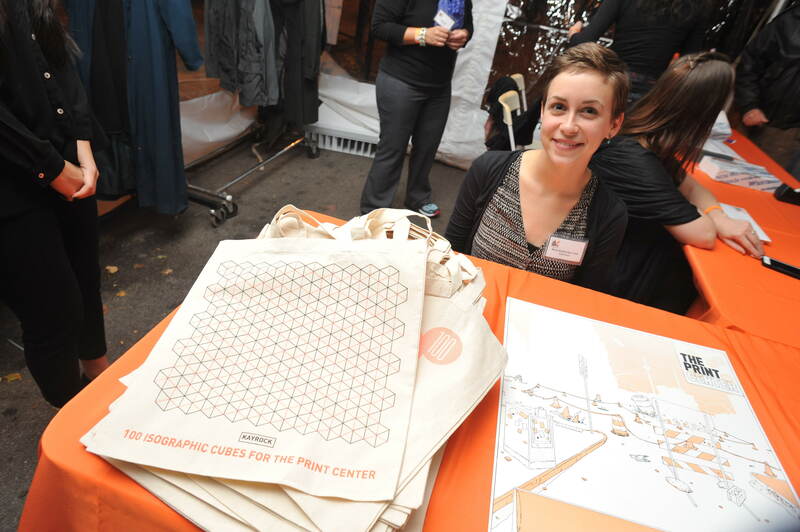 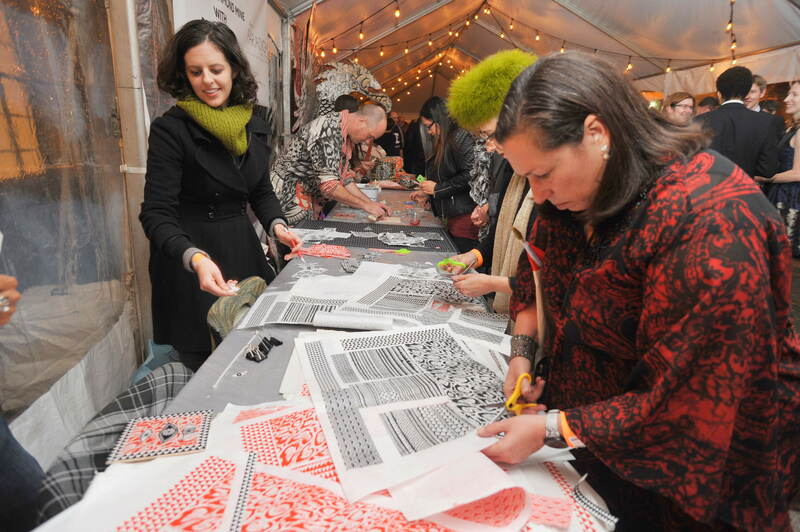 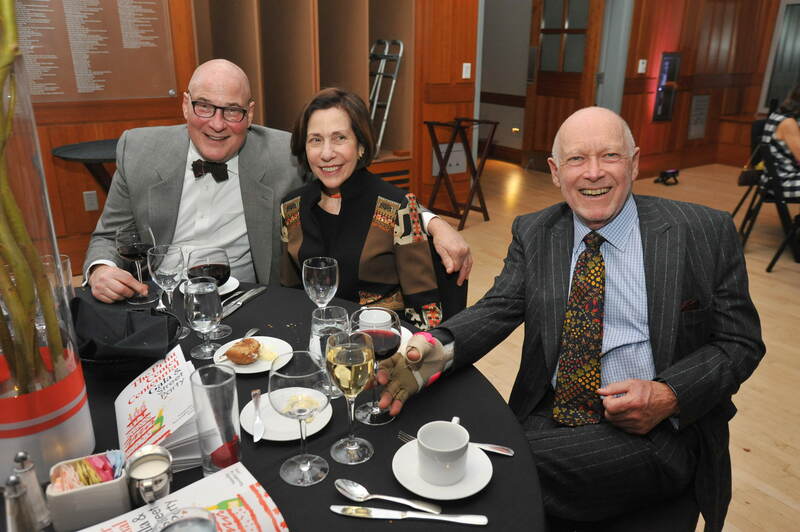 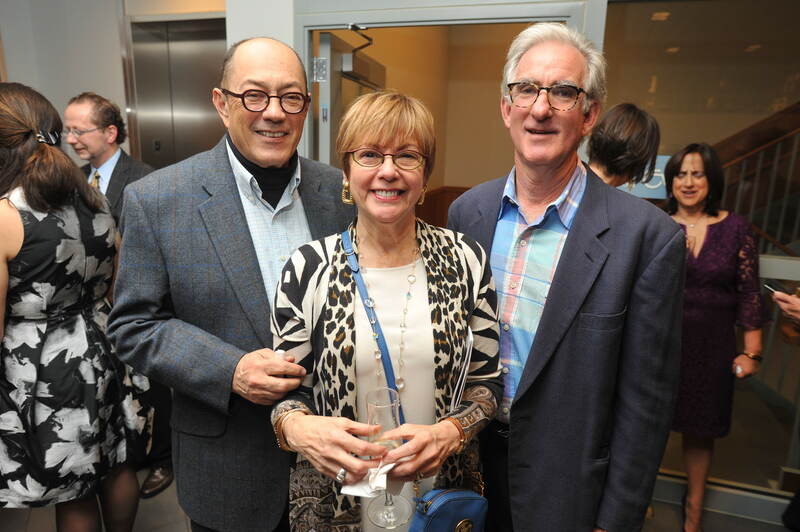 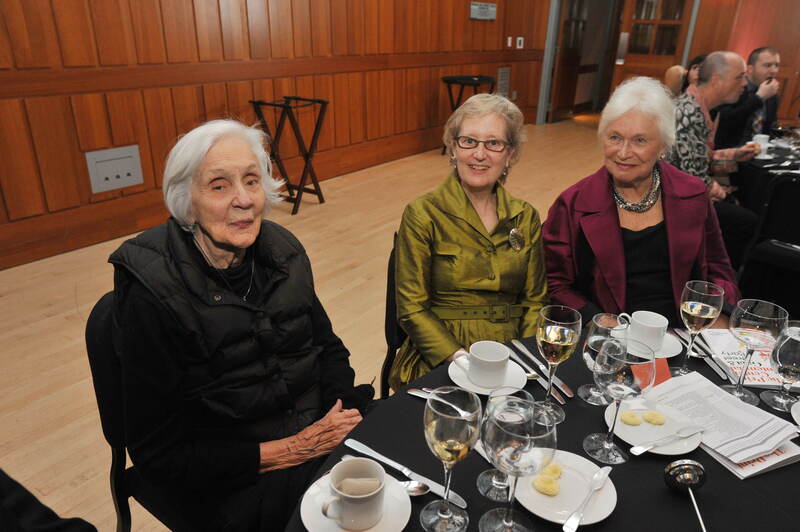 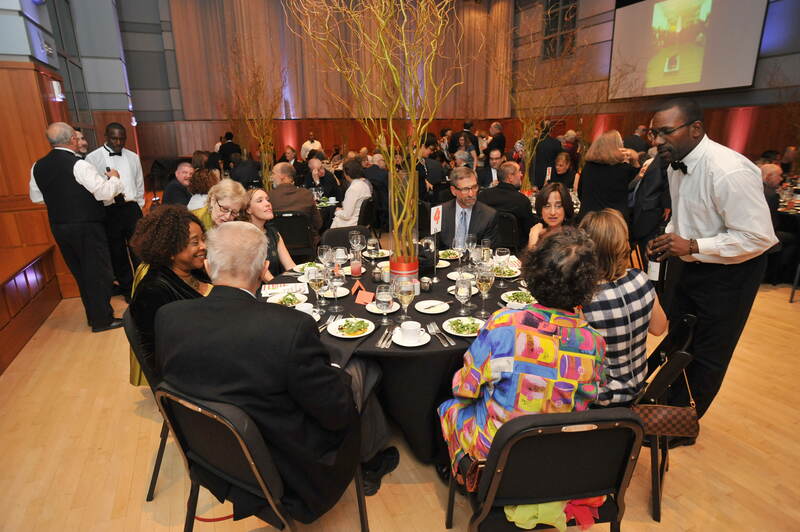 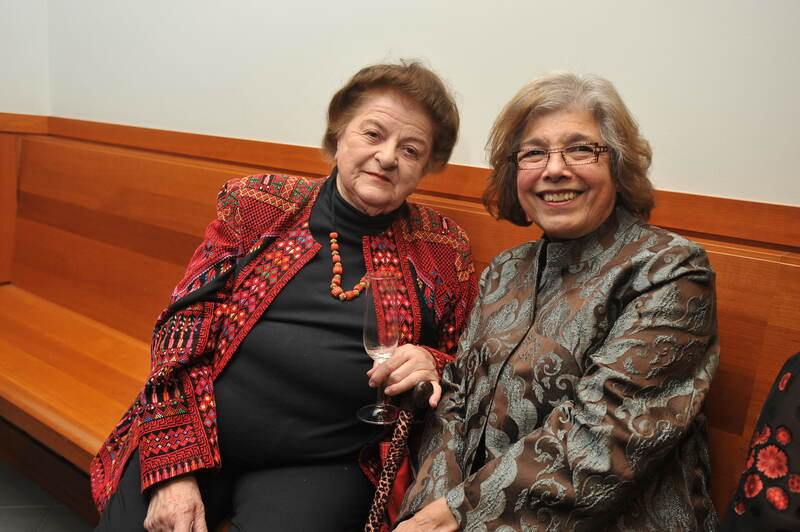 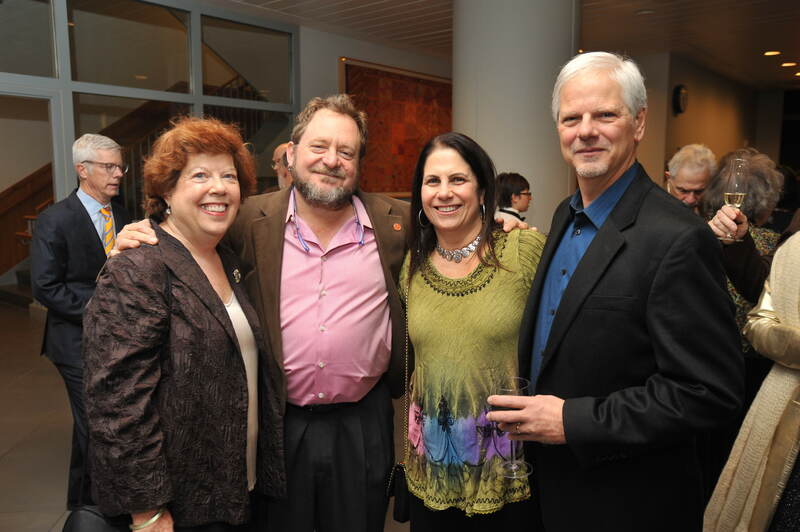 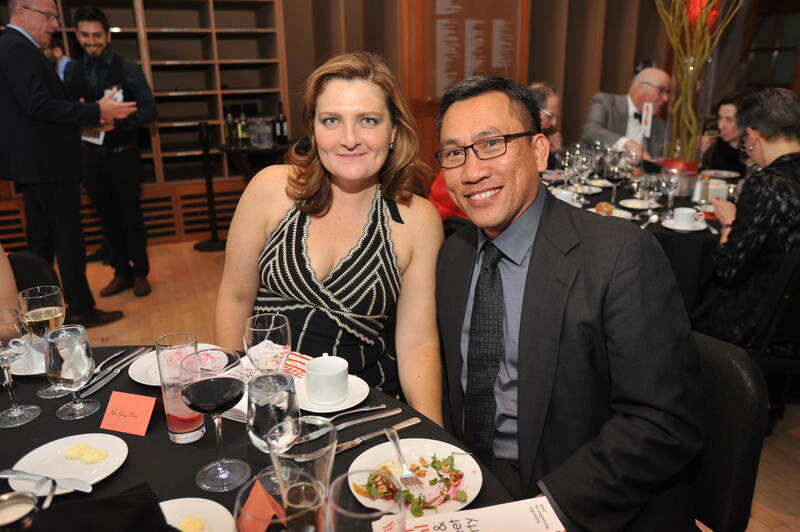 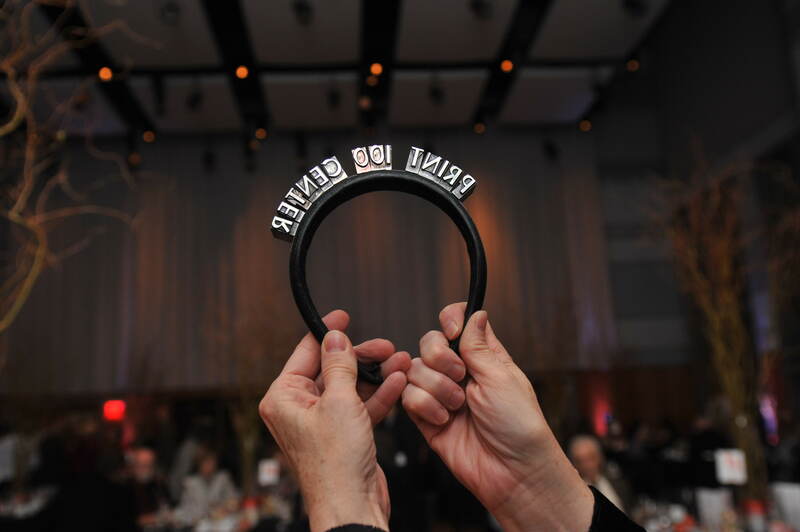 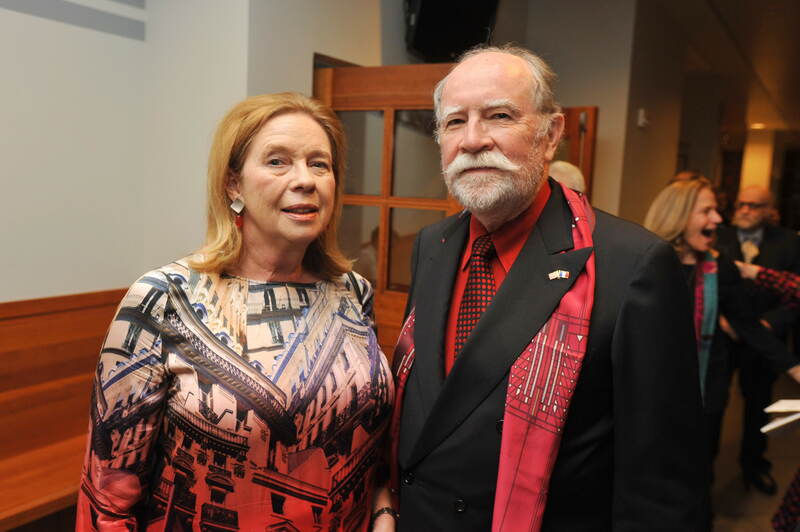 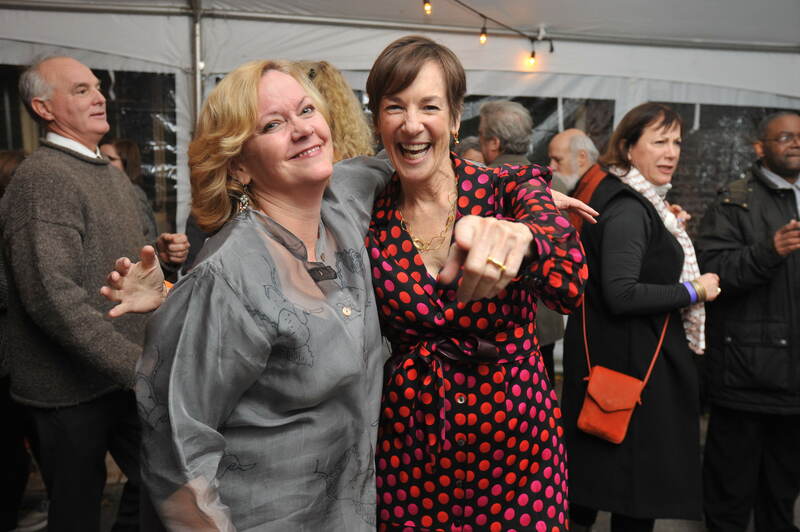 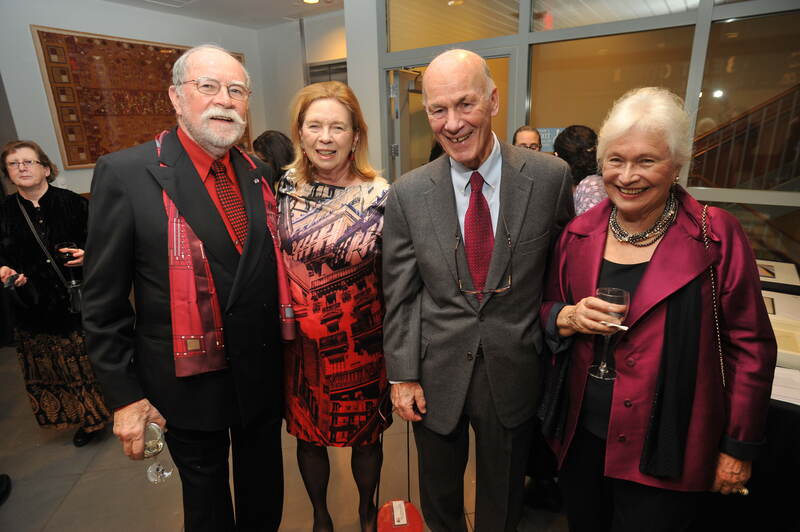 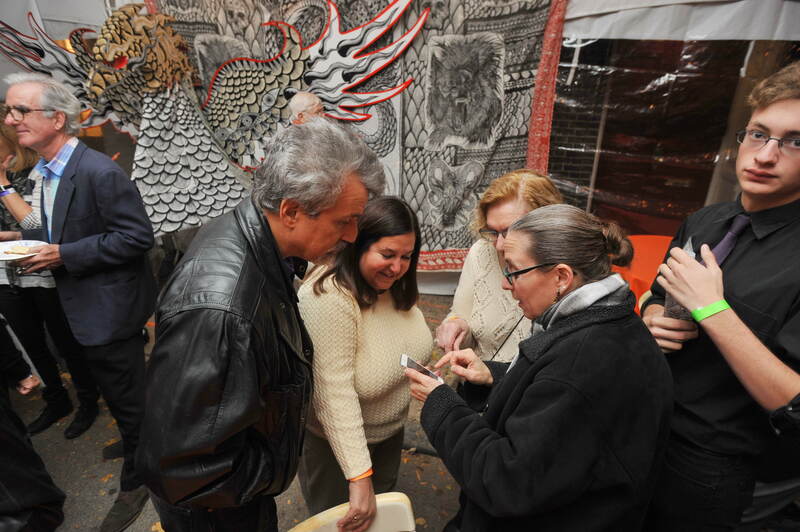 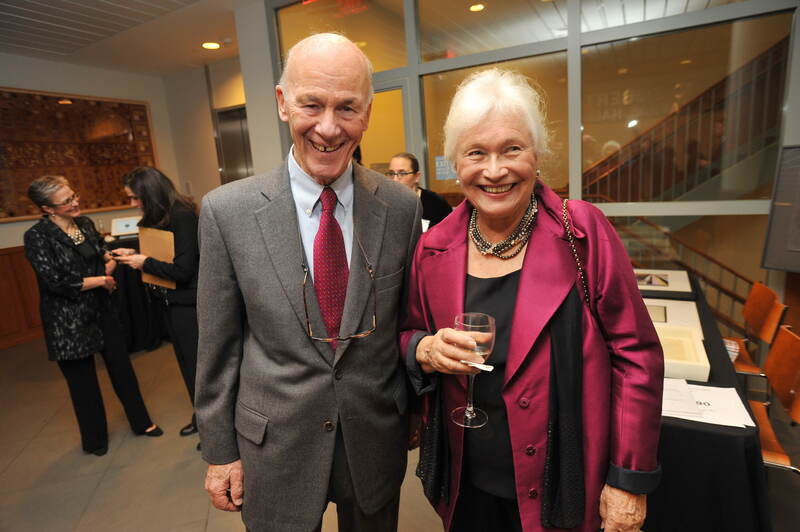 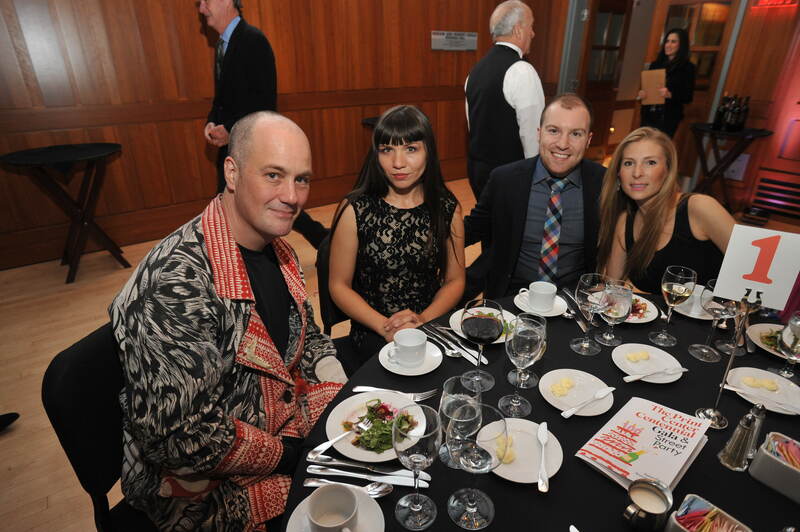 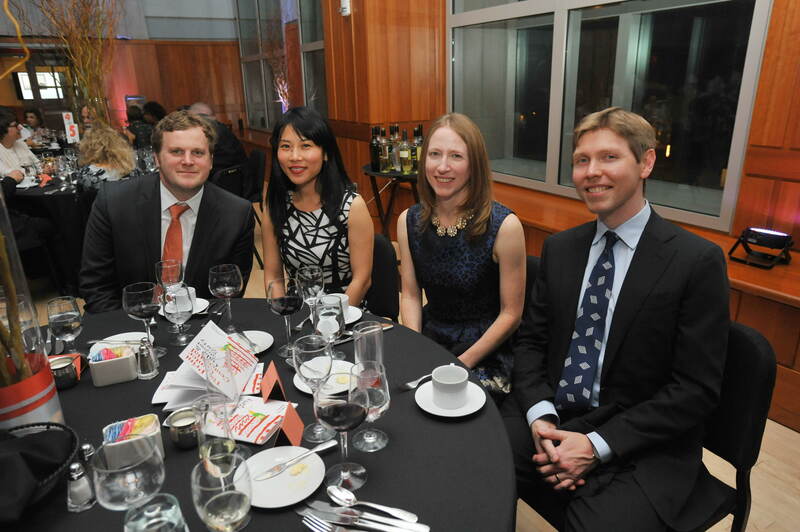 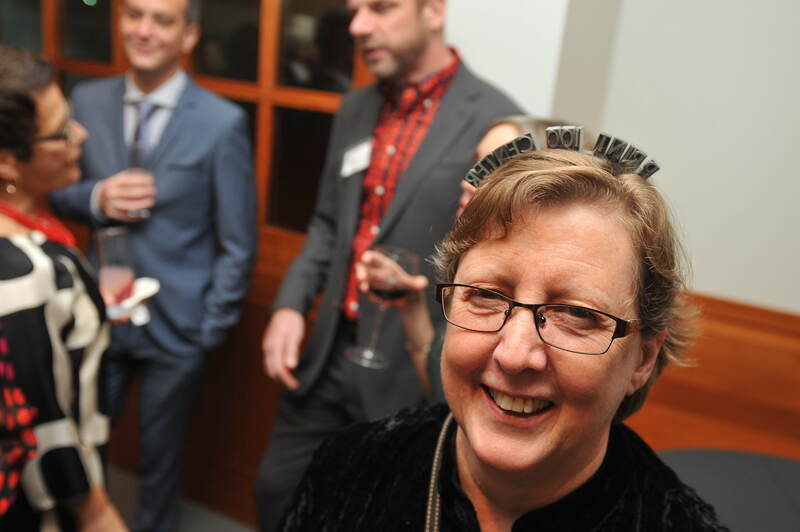 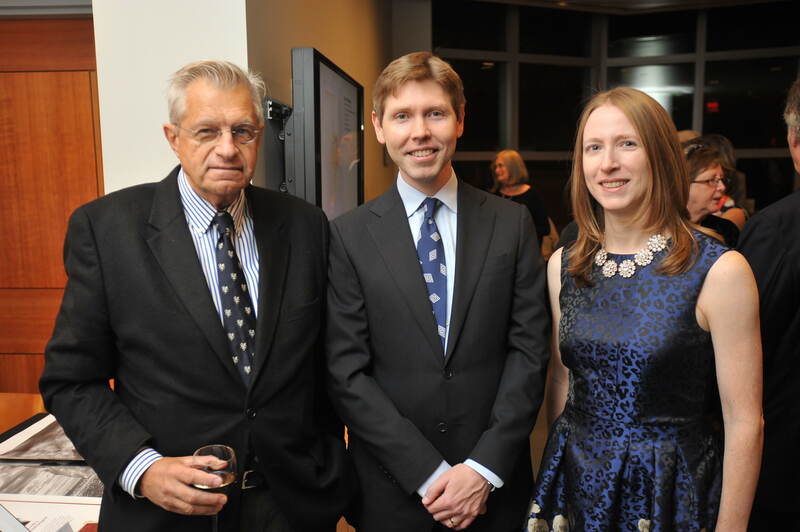 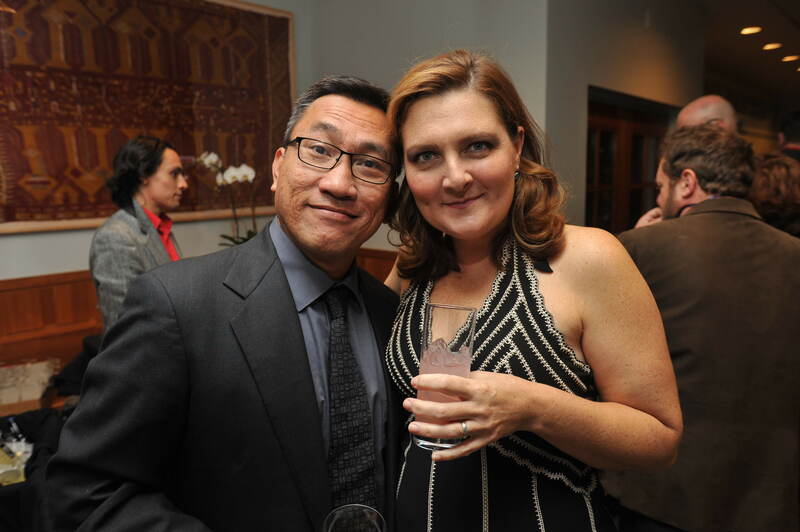 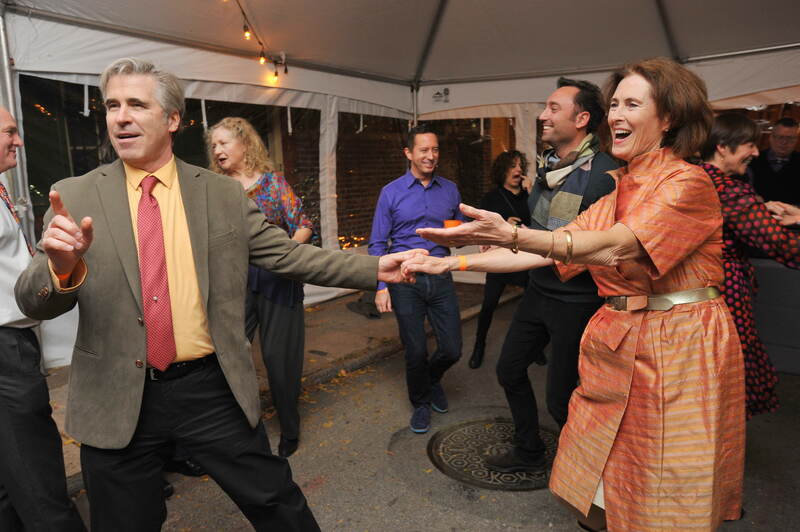 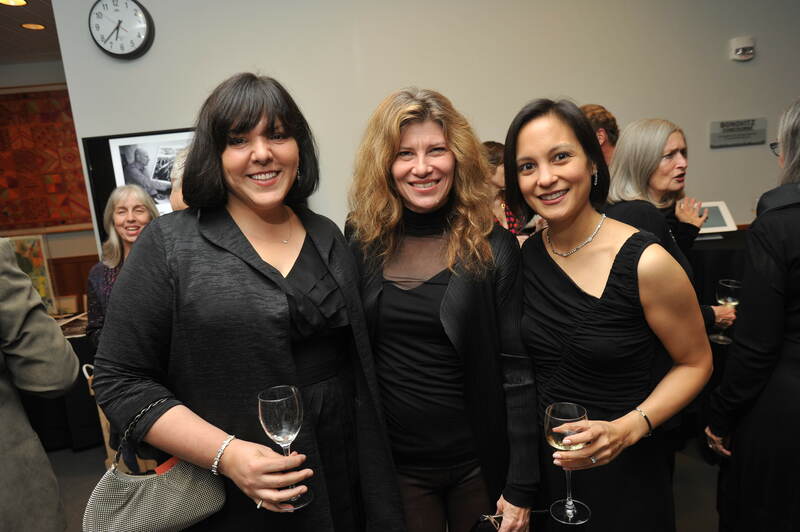 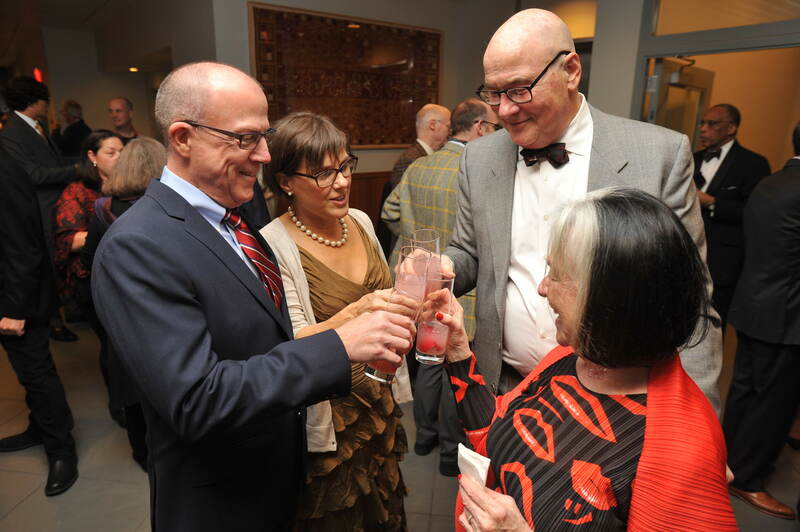 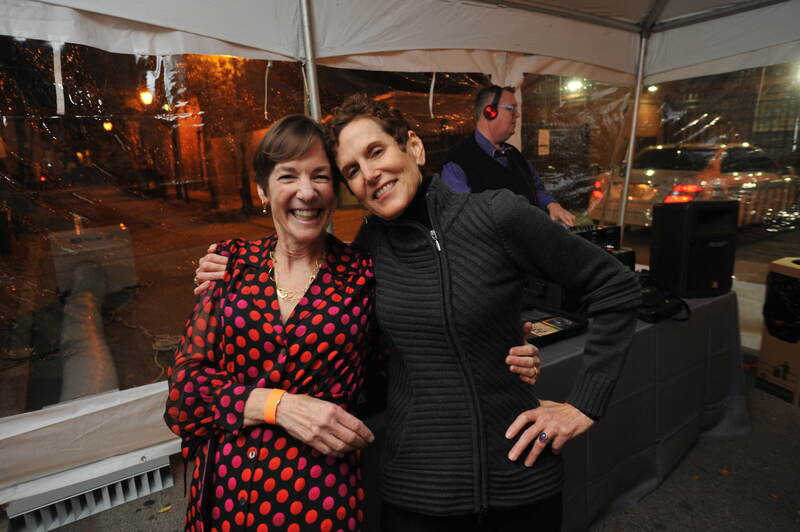 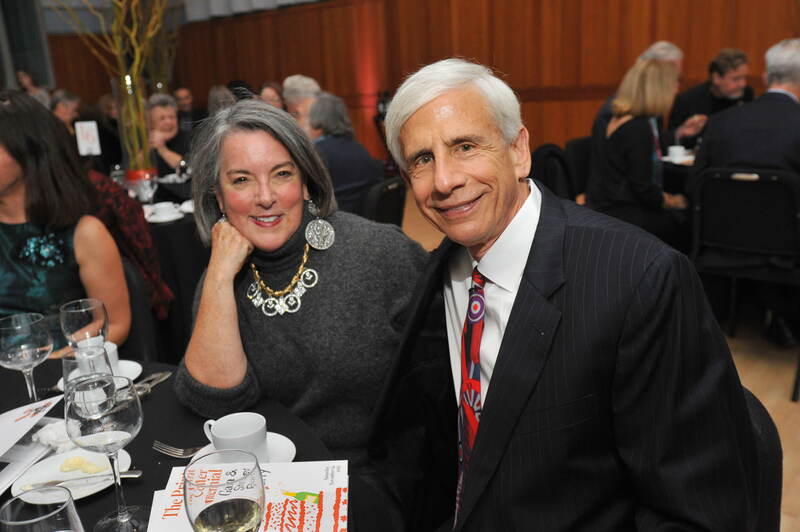 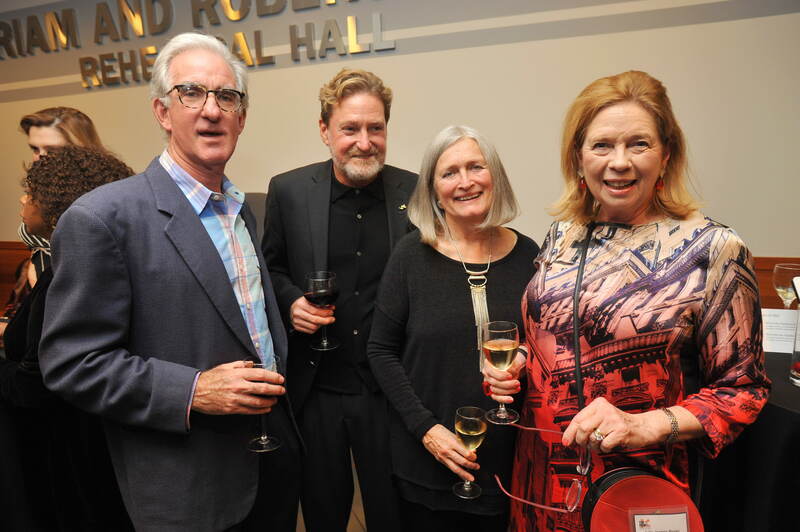 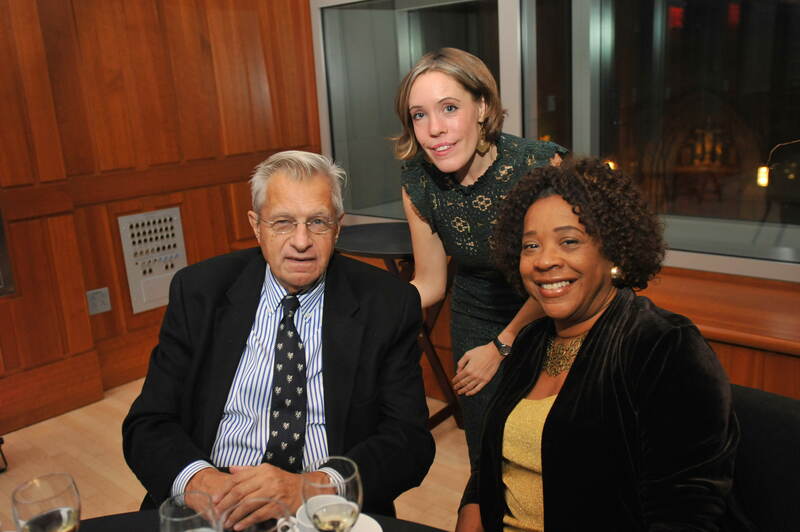 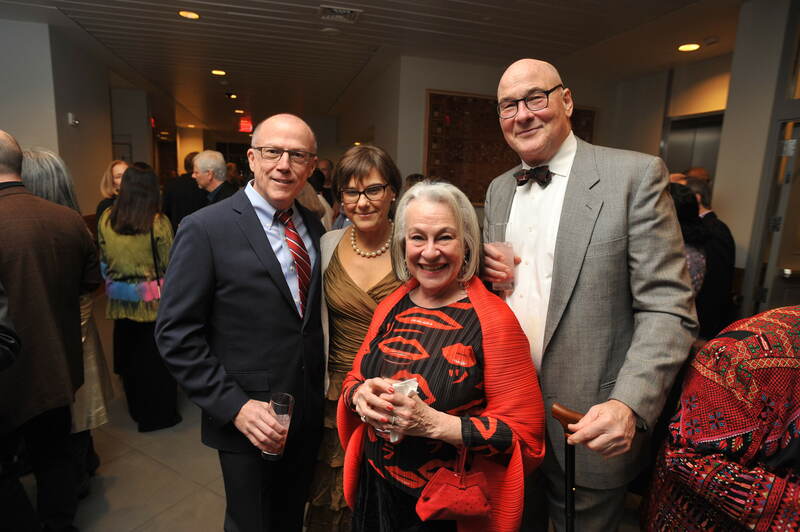 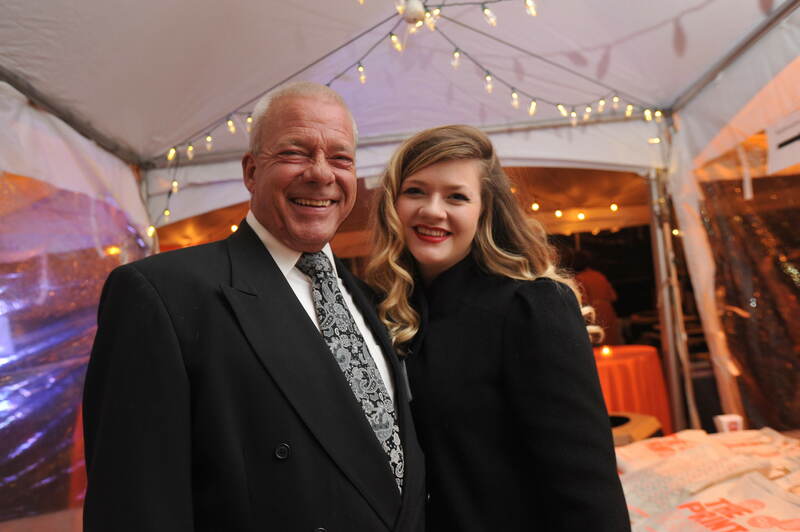 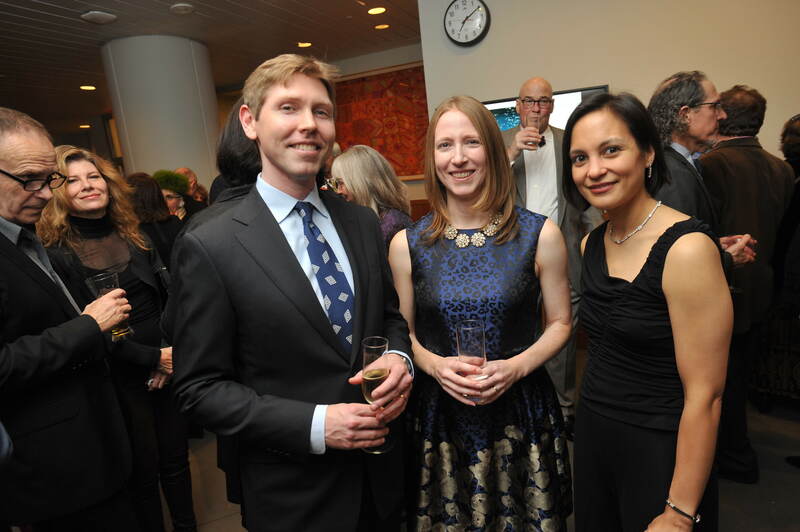 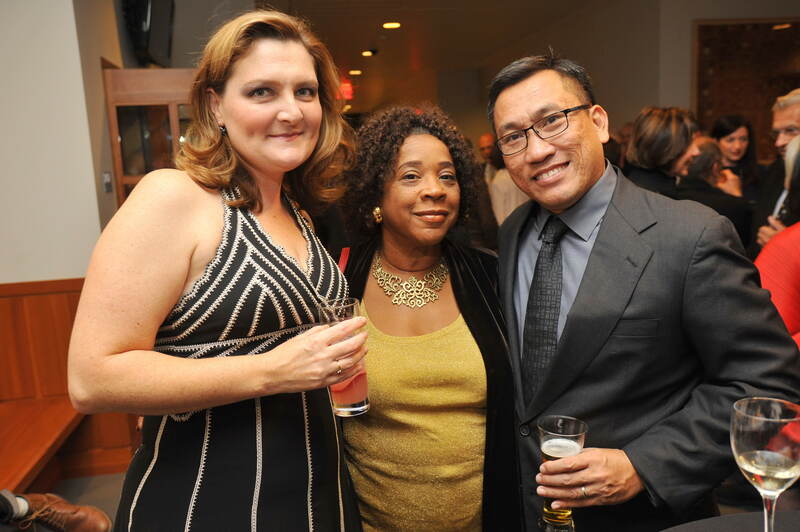 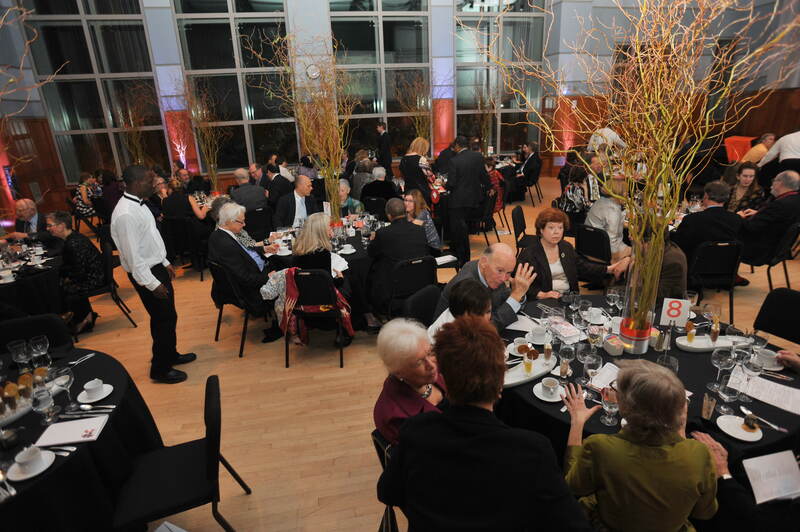 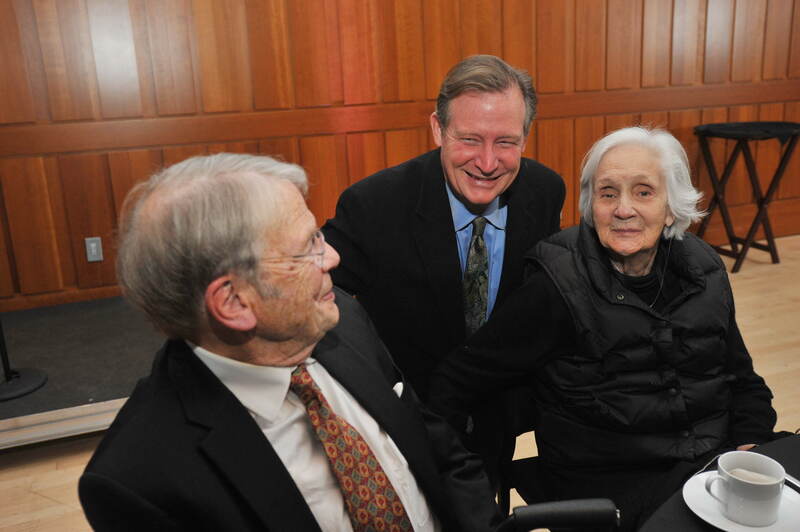 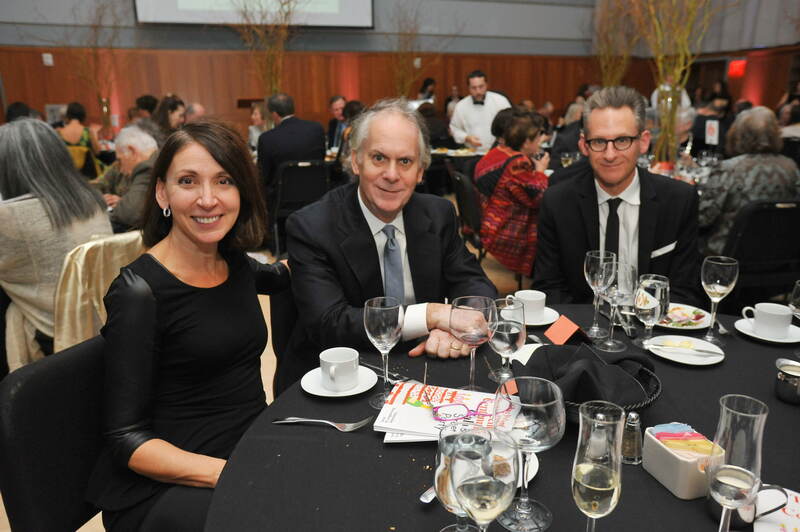 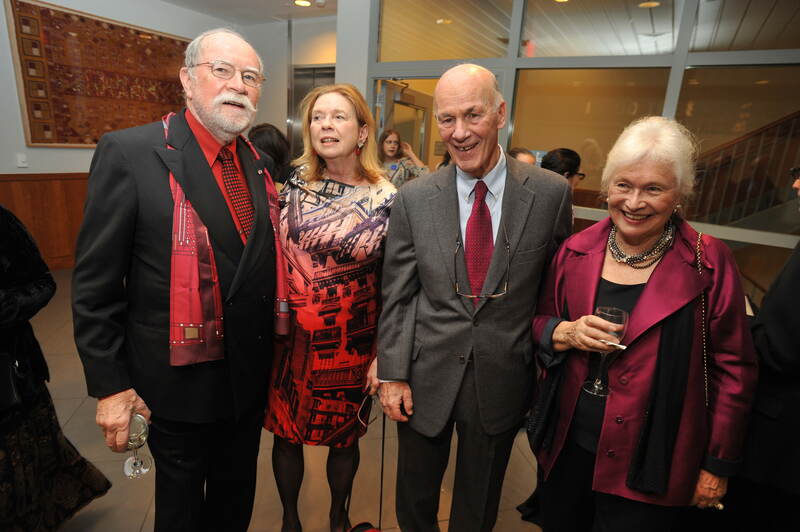 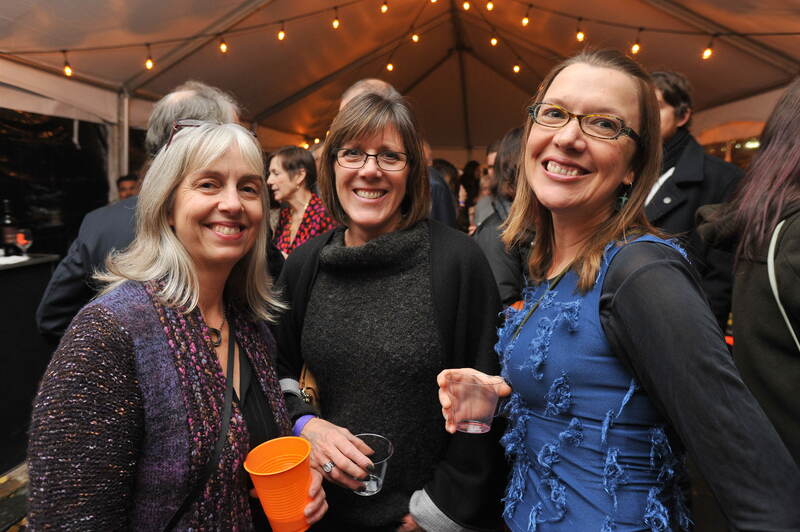 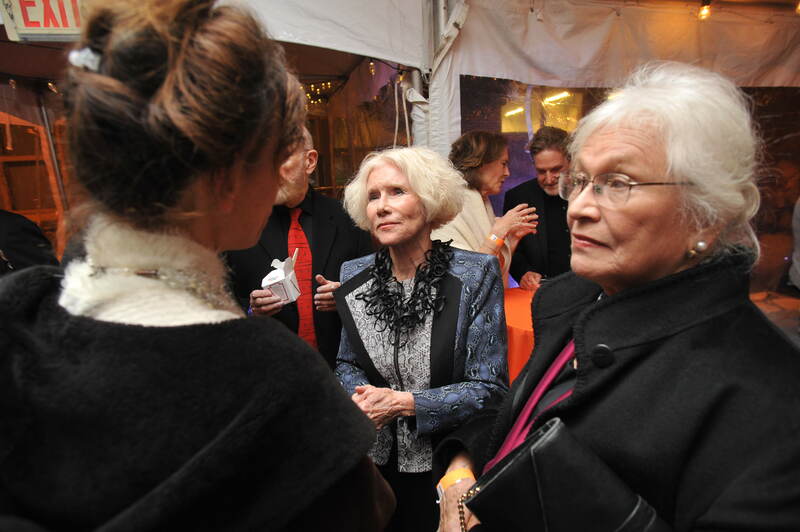 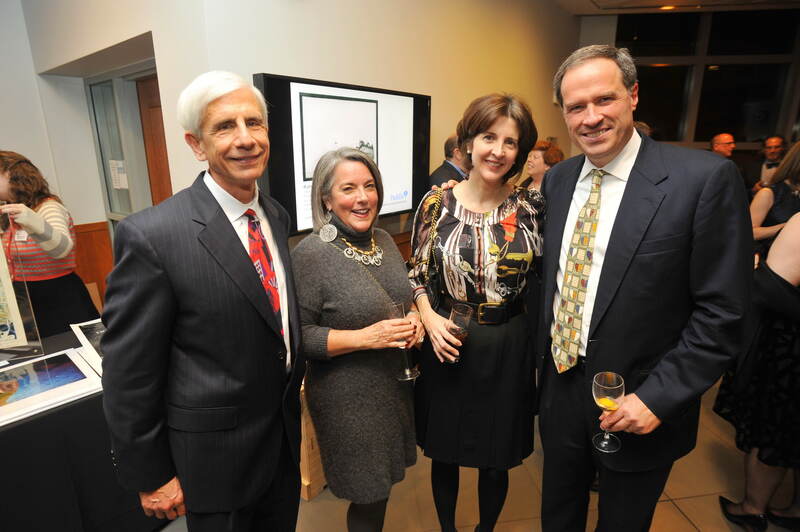 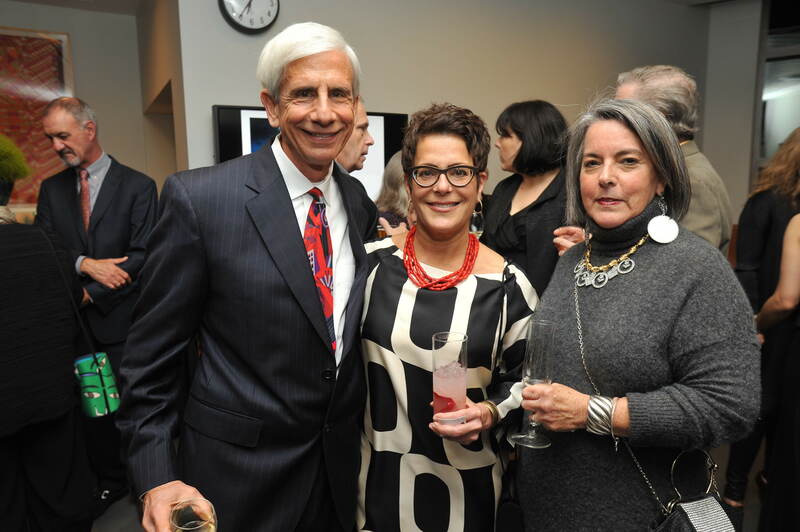 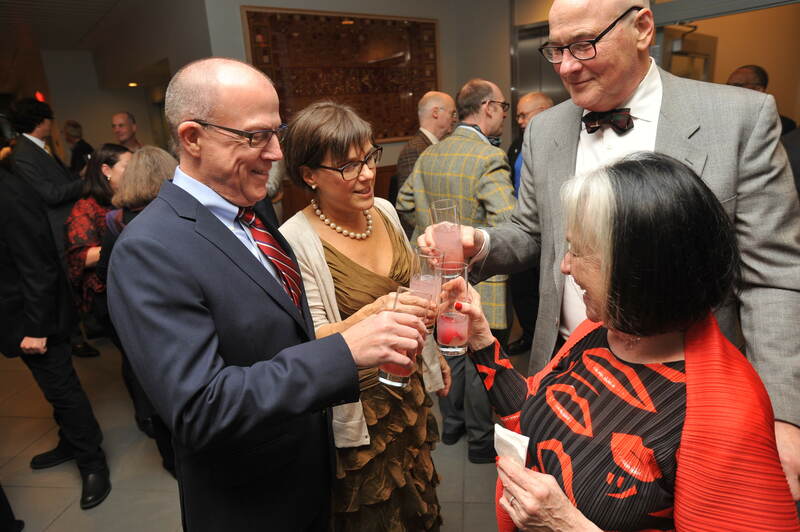 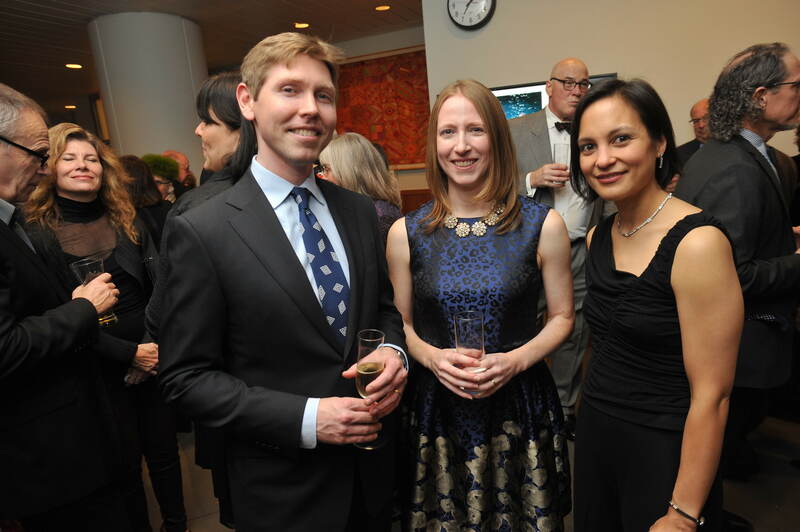 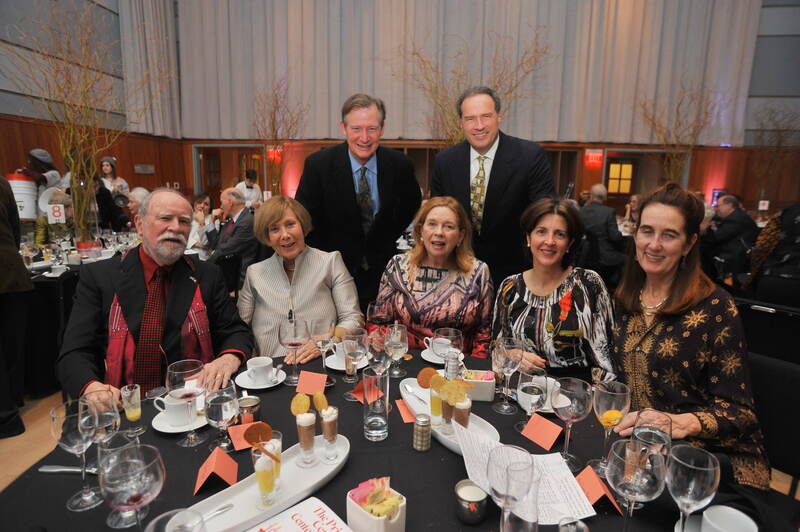 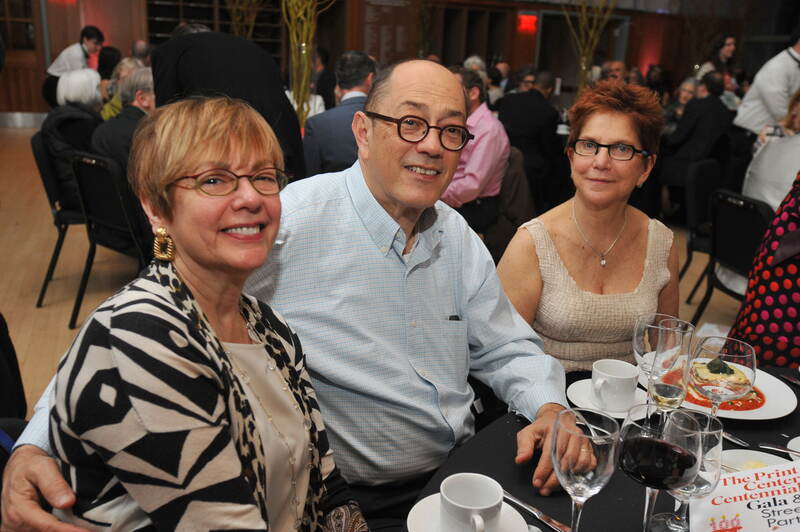 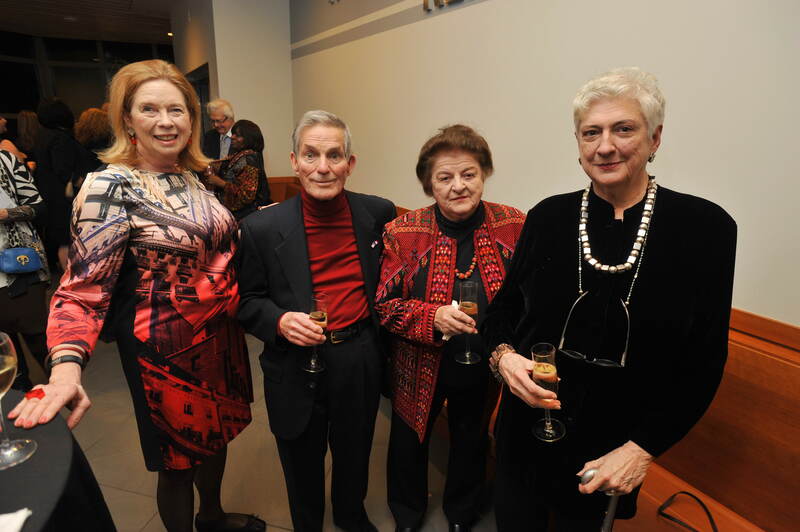 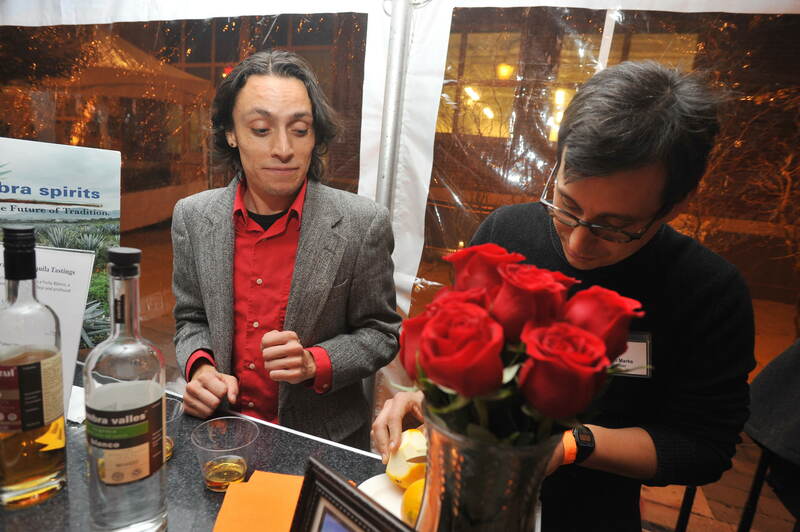 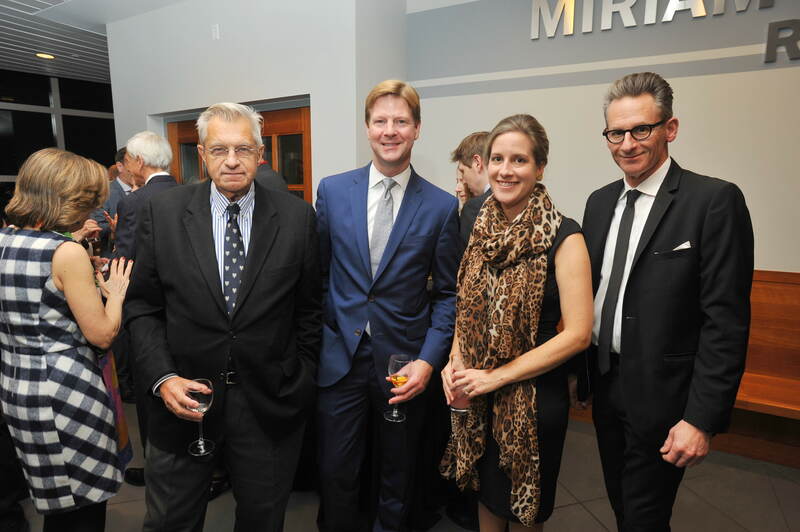 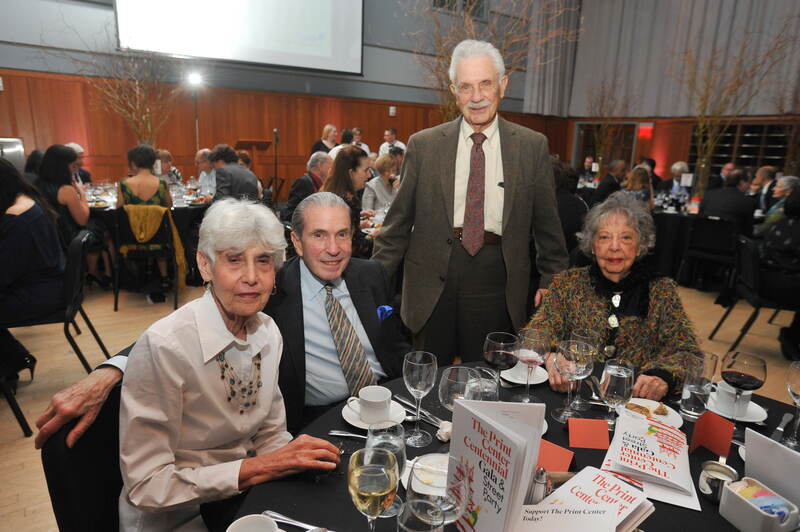 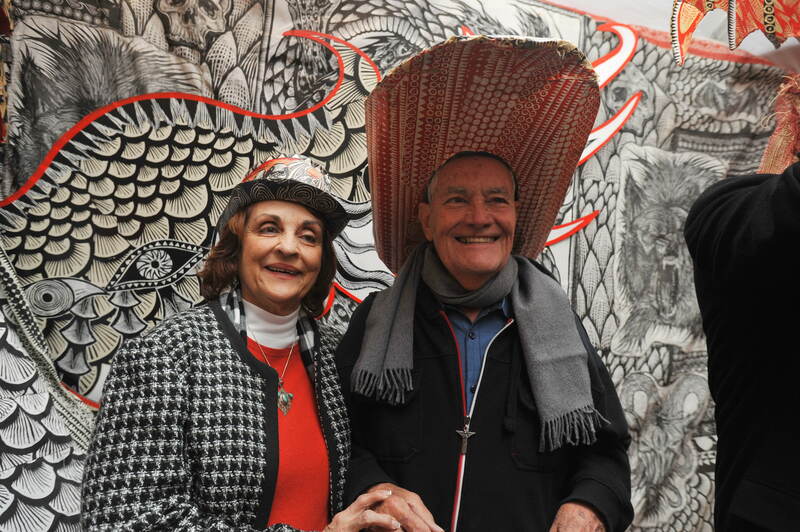 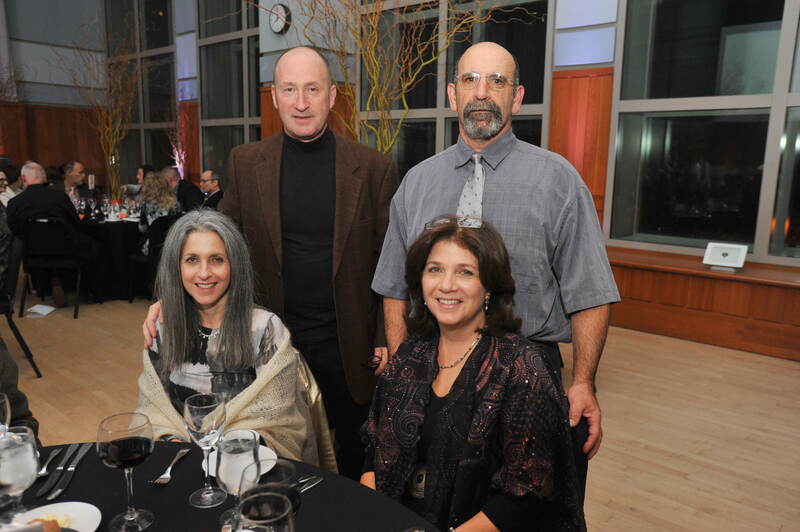 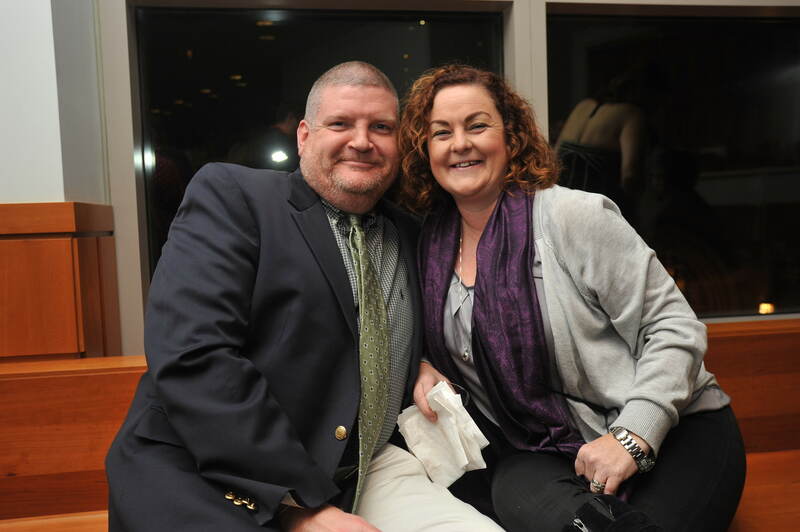 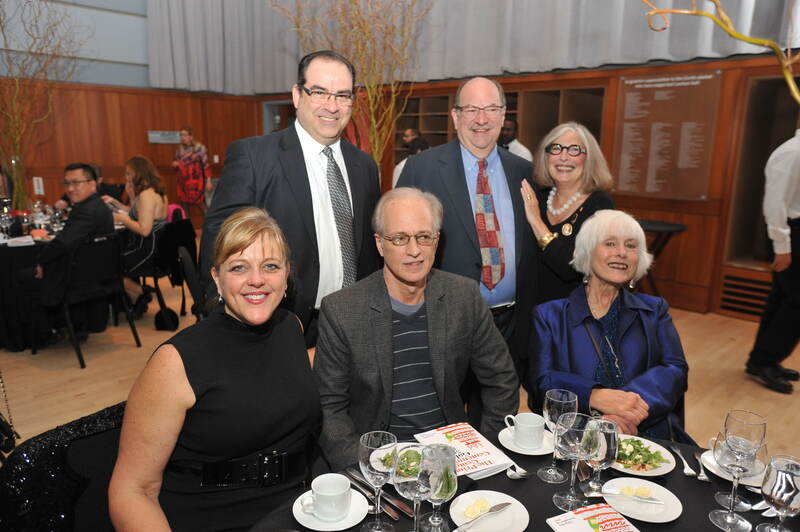 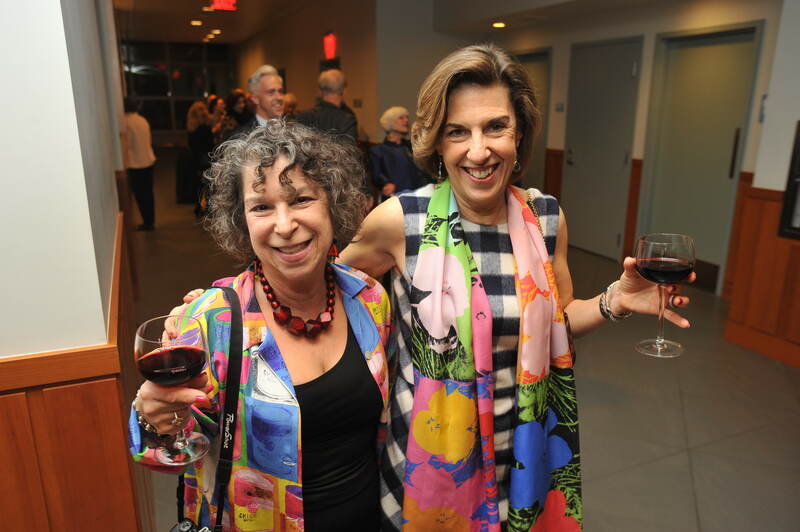 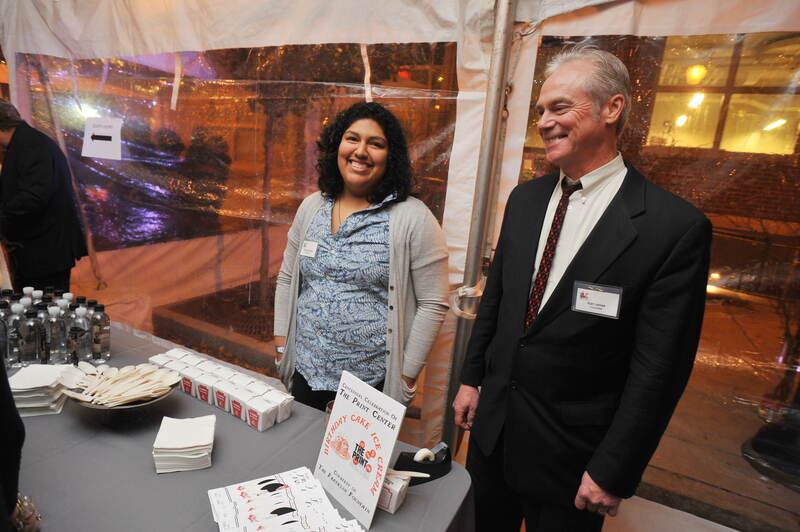 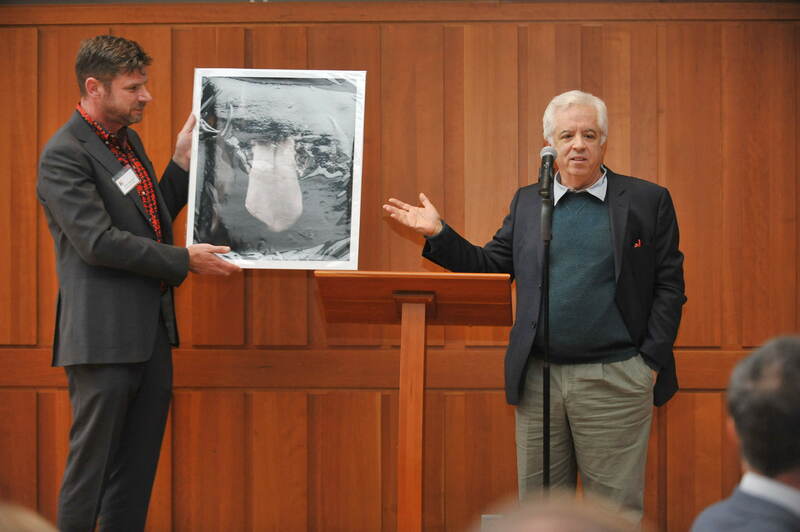 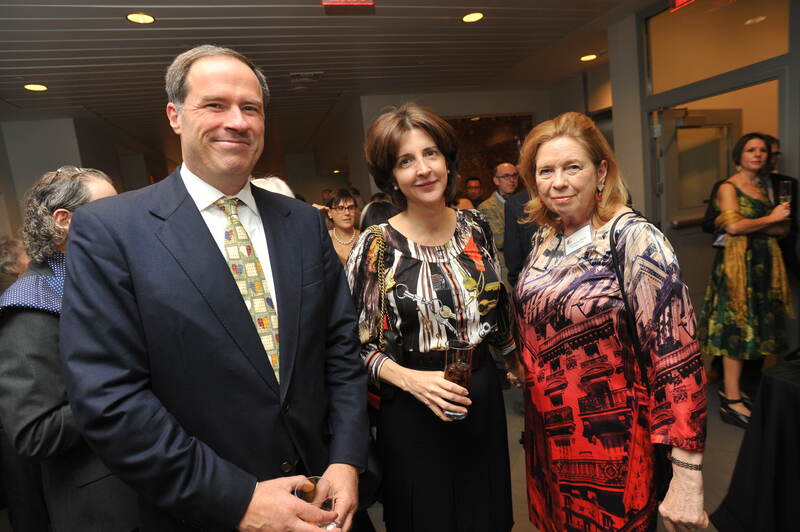 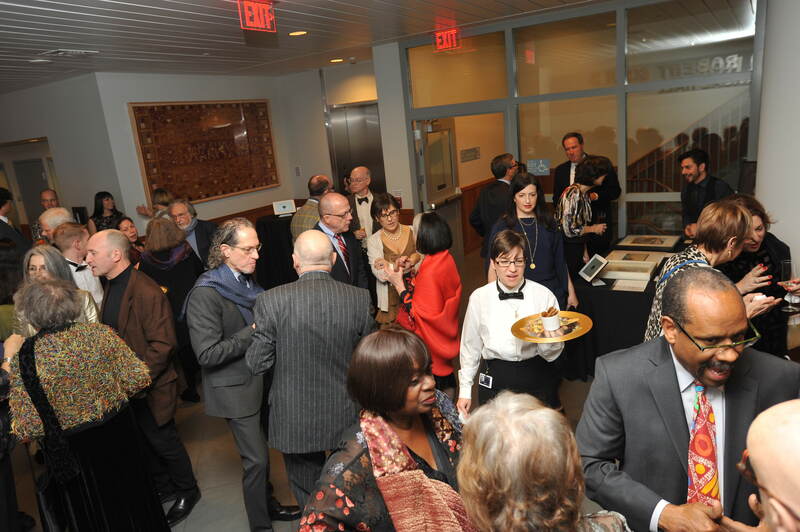 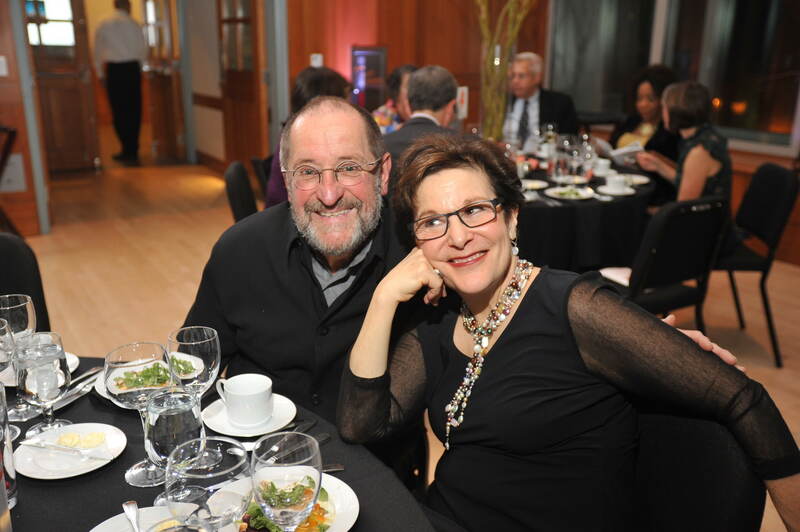 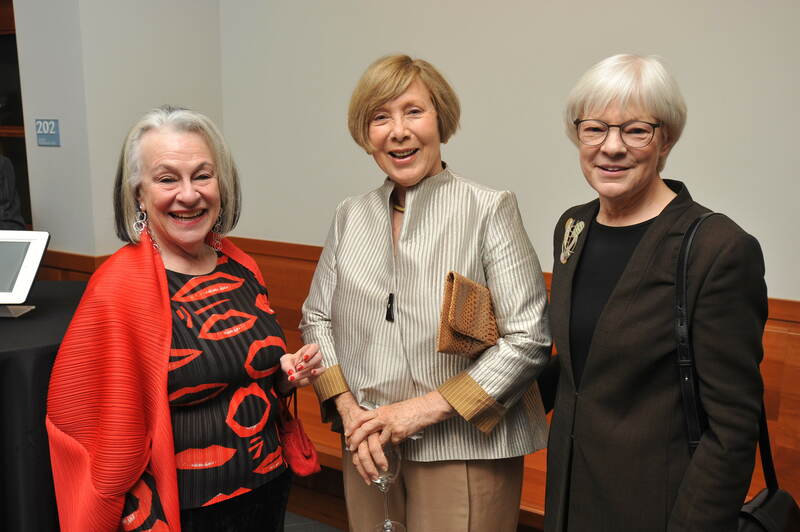 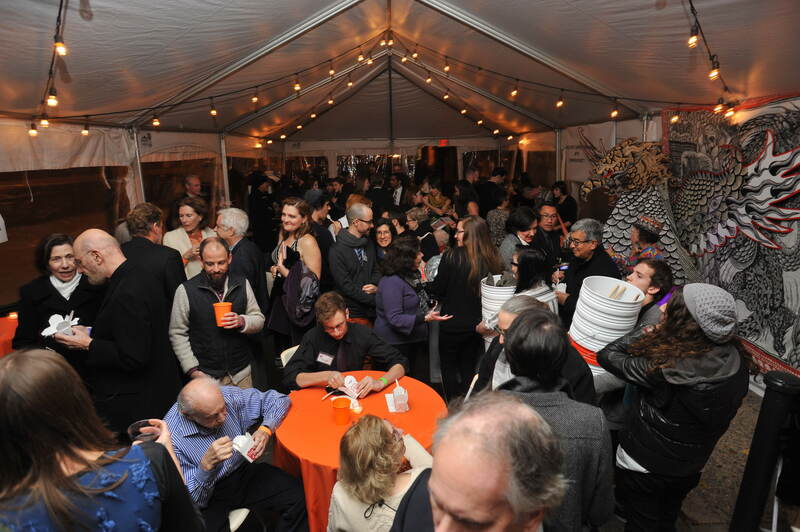 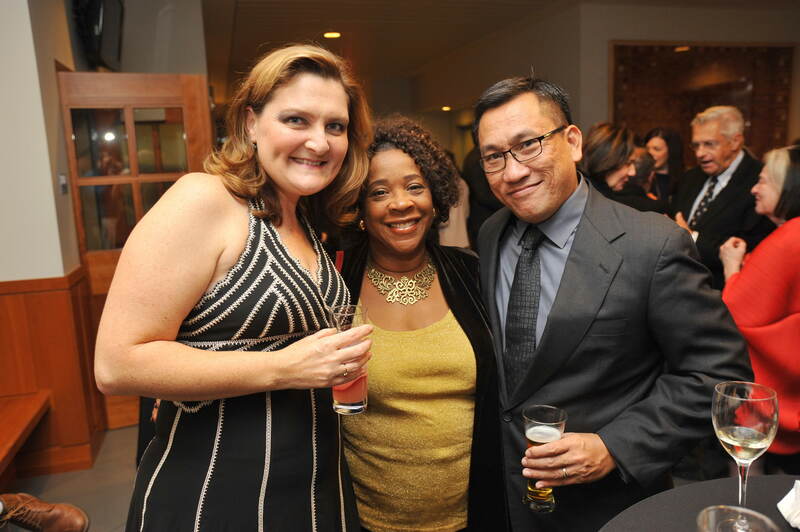 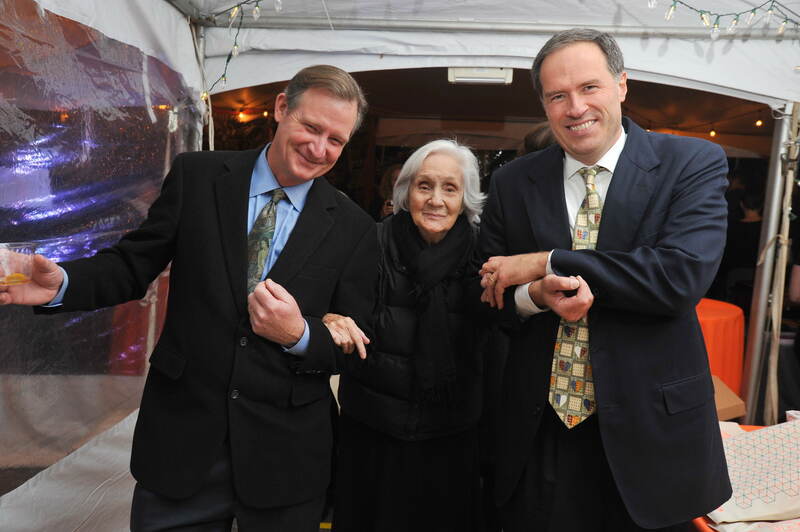 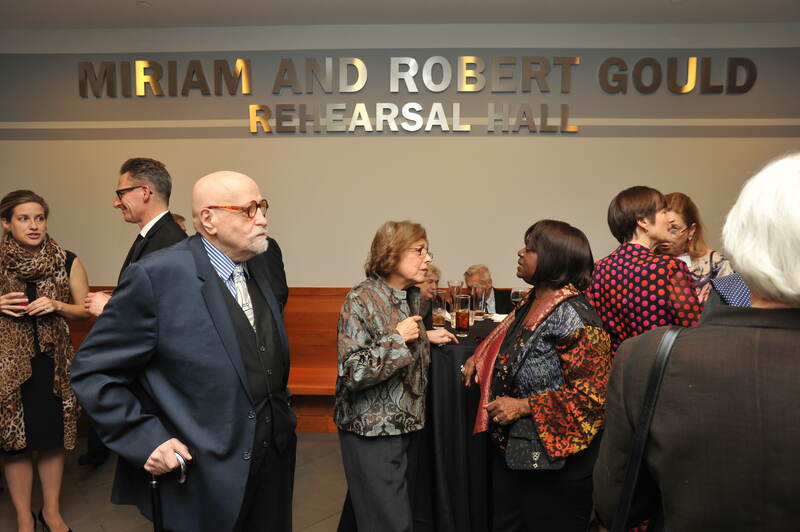 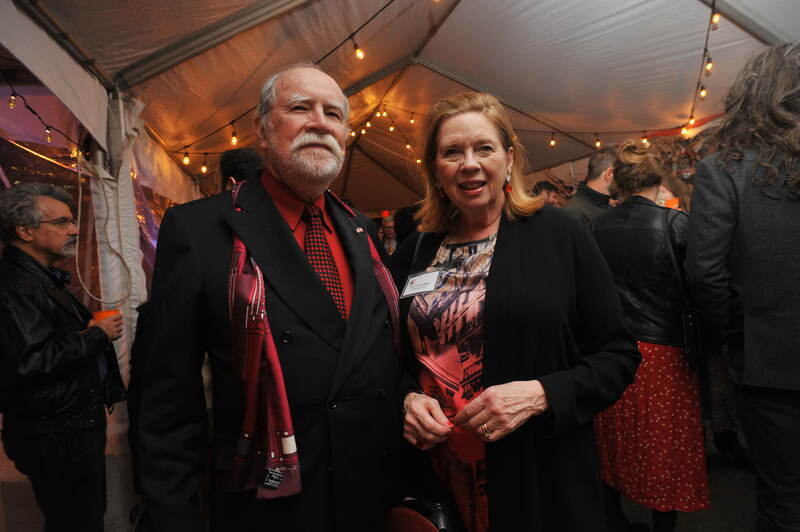 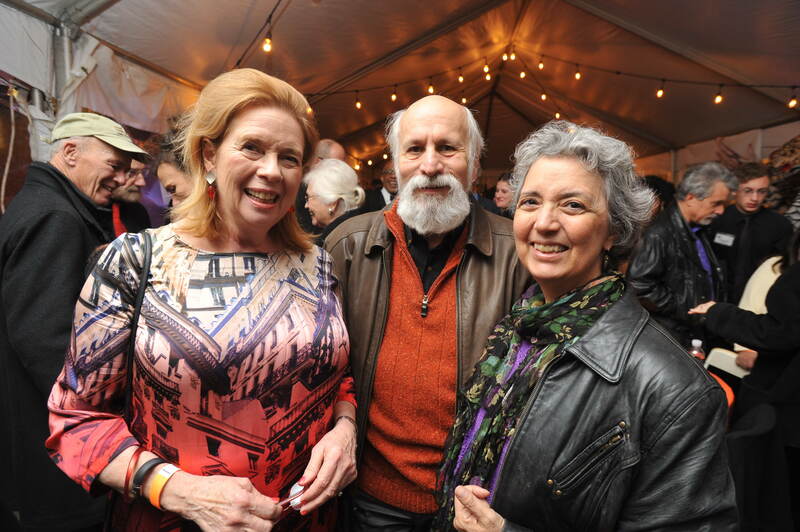 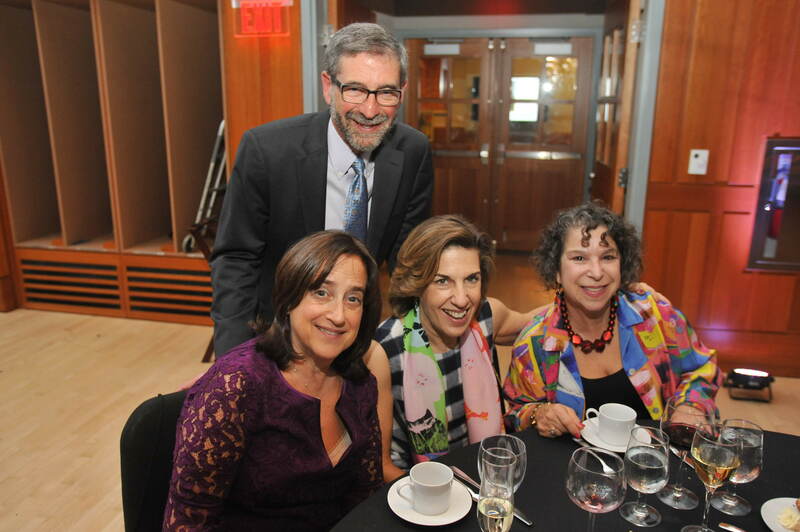 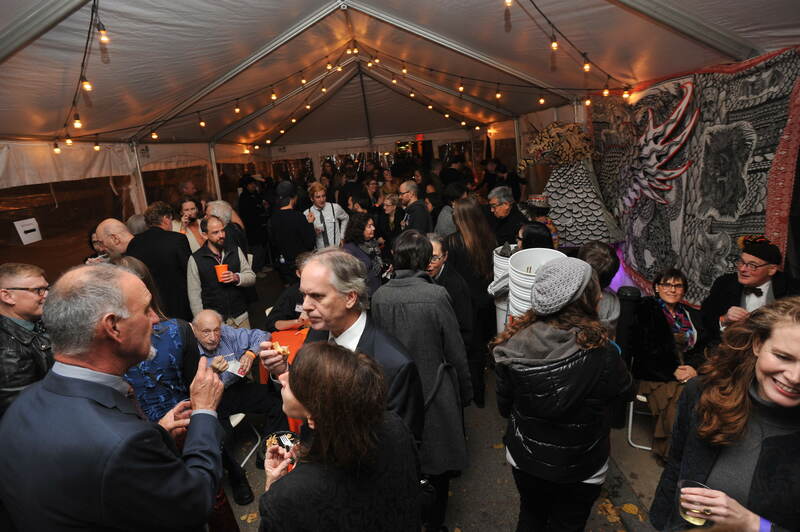 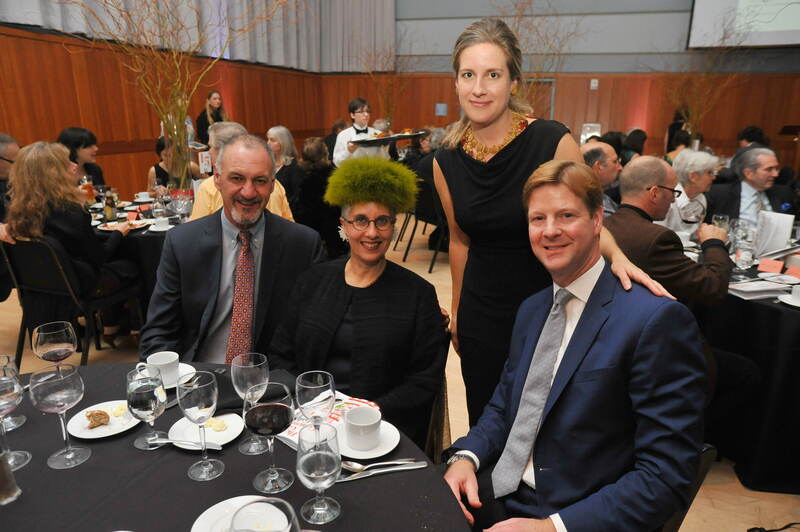 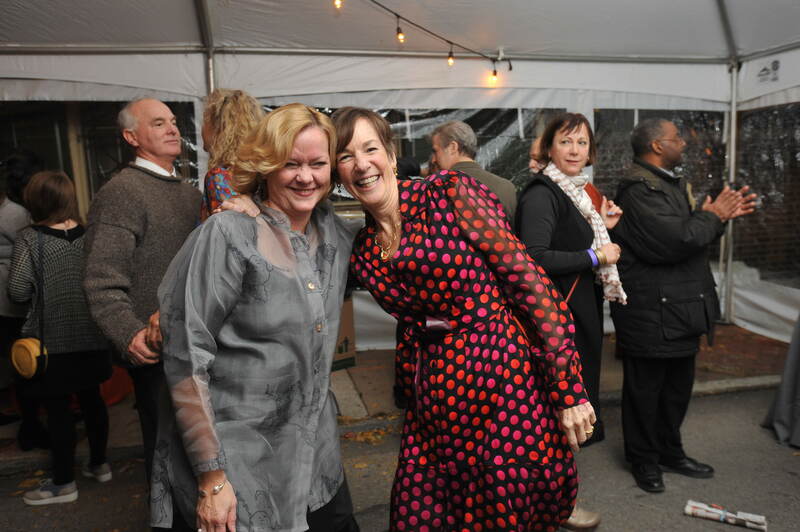 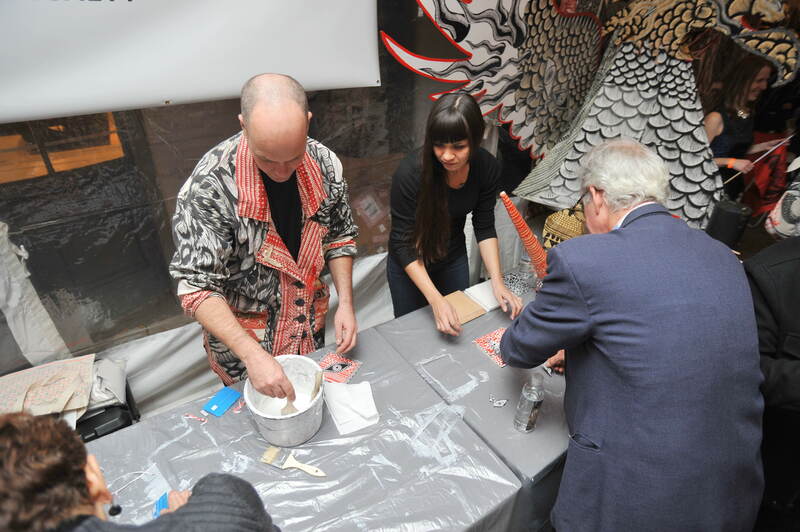 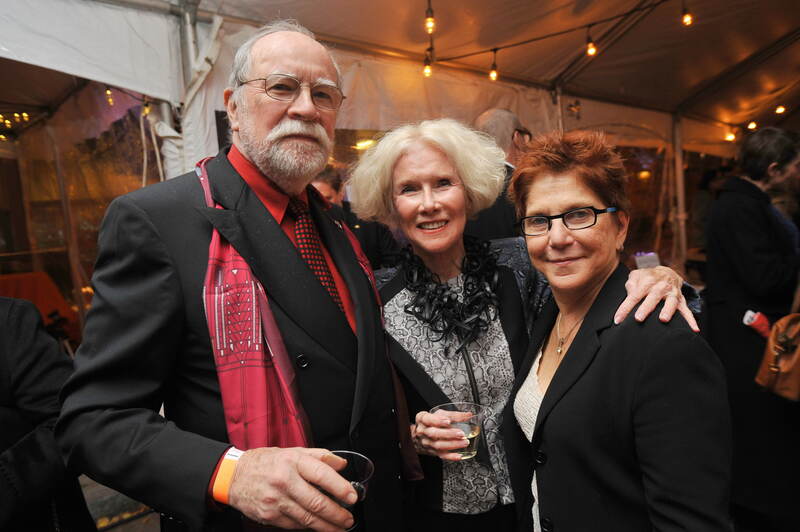 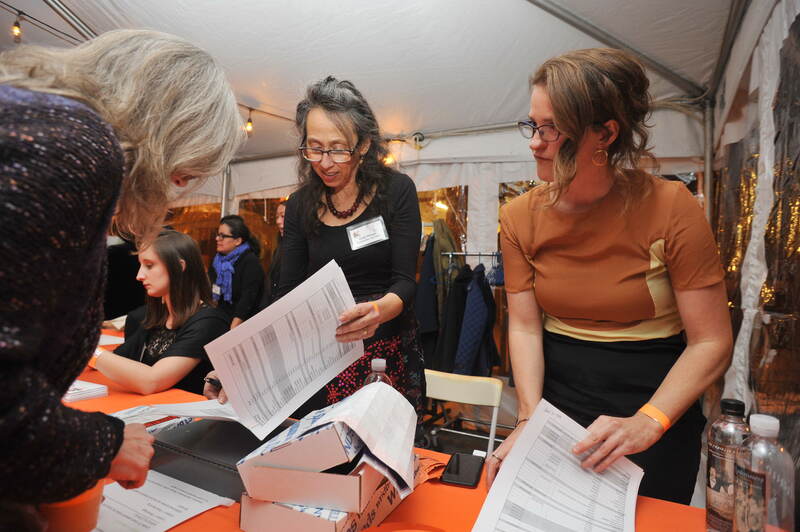 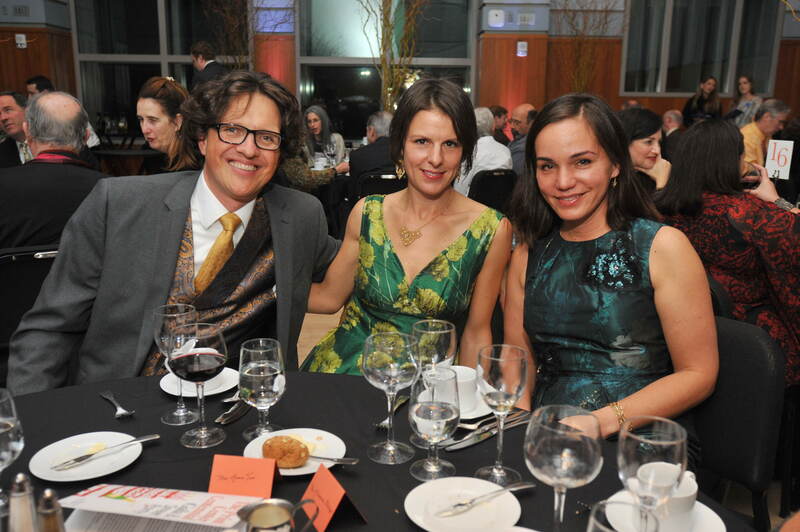 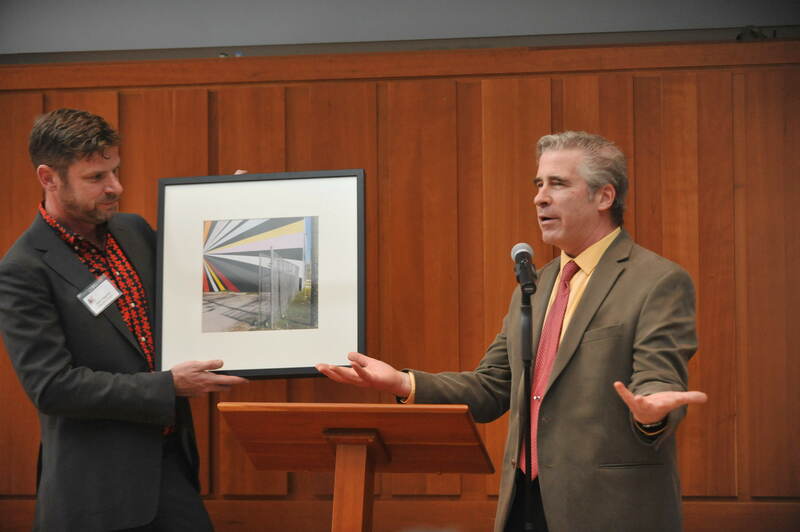 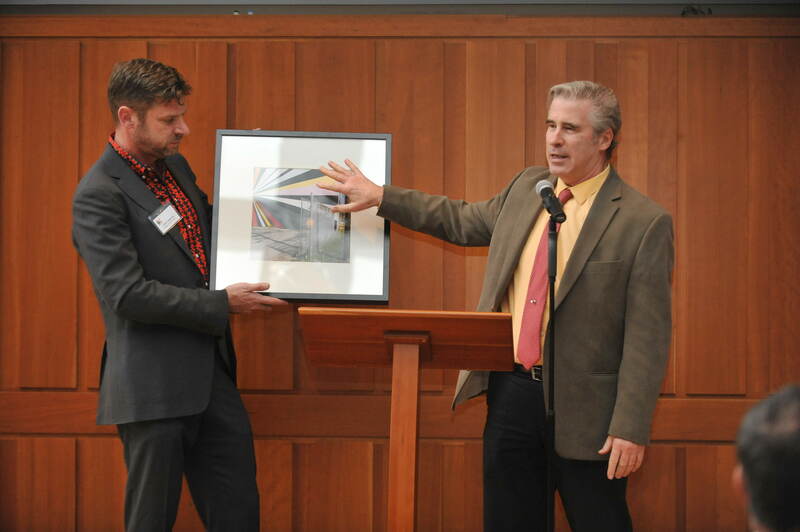 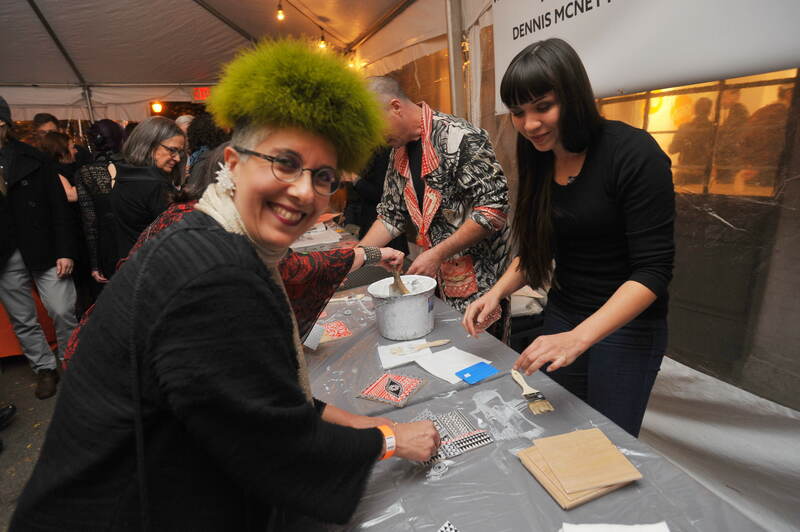 All proceeds of The Print Center Centennial Gala & Street Party benefited the Centennial Fund.